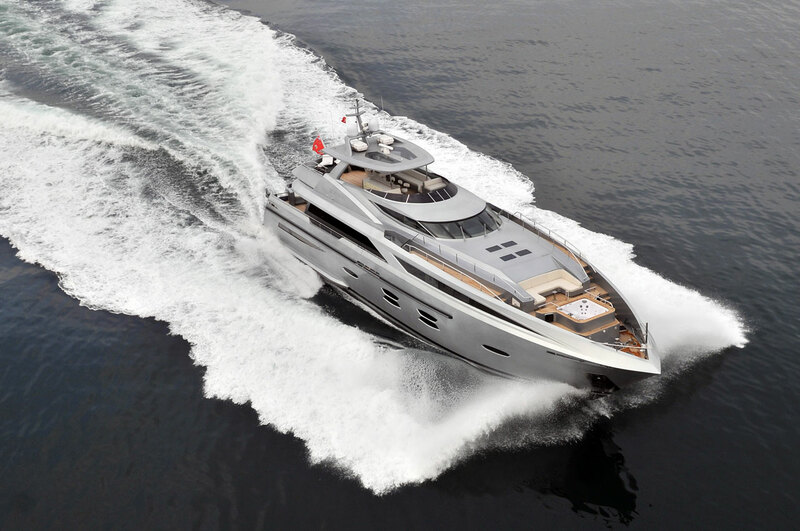 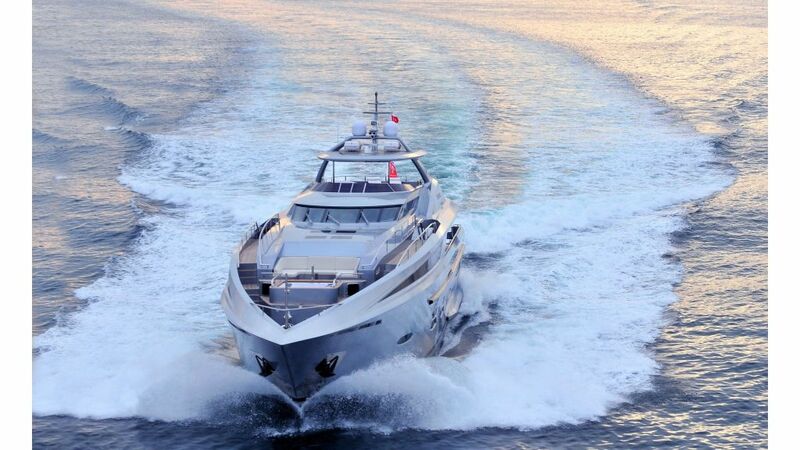 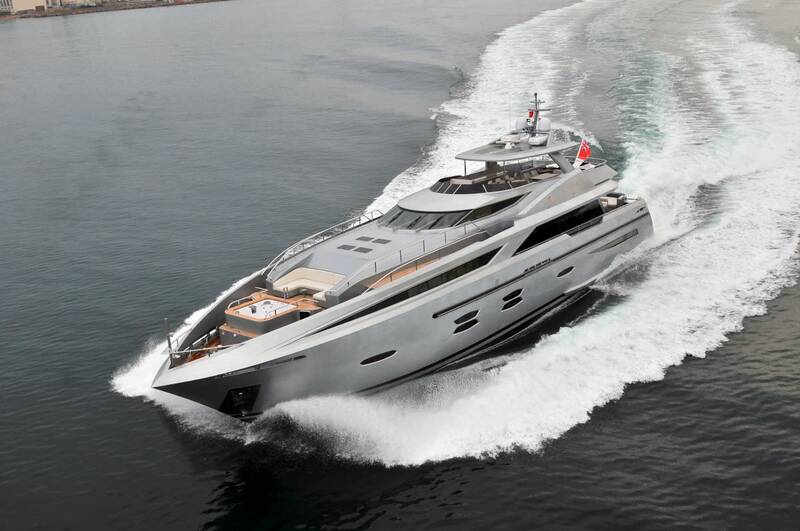 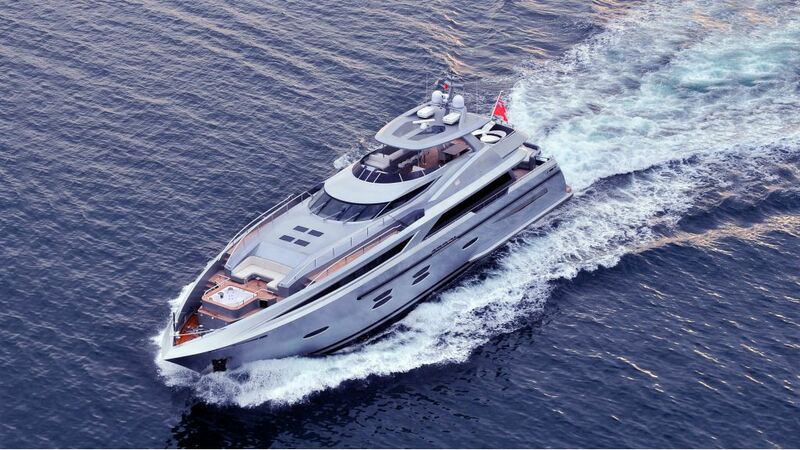 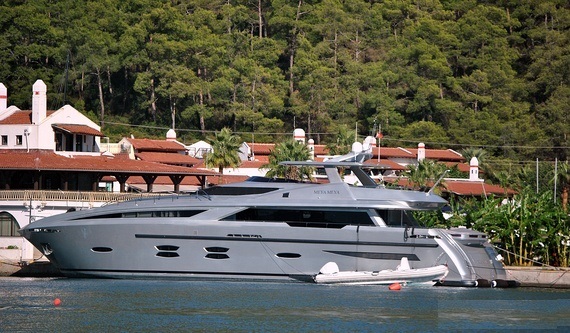 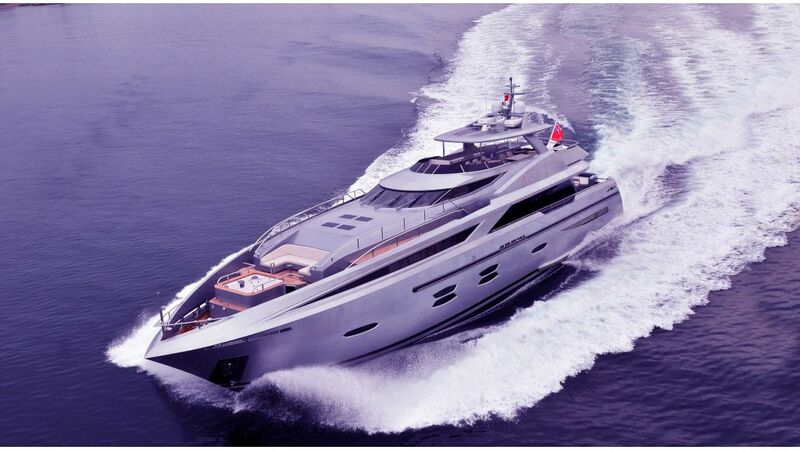 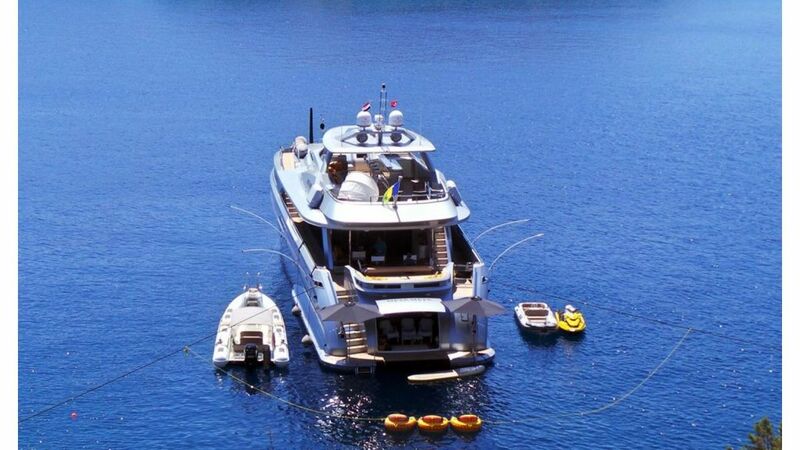 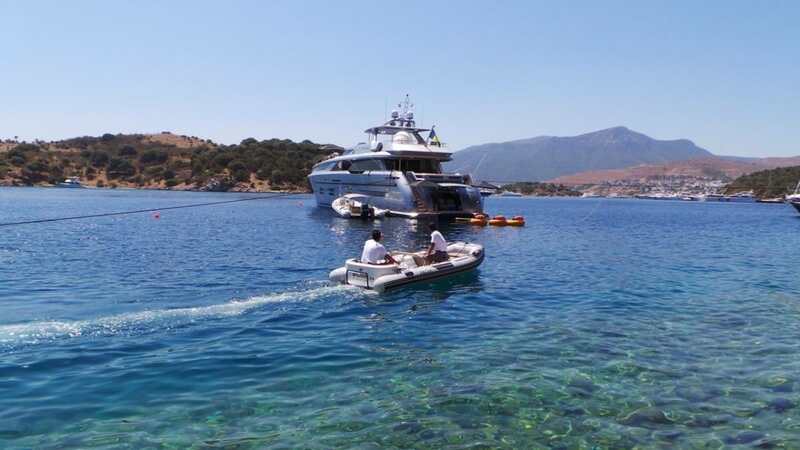 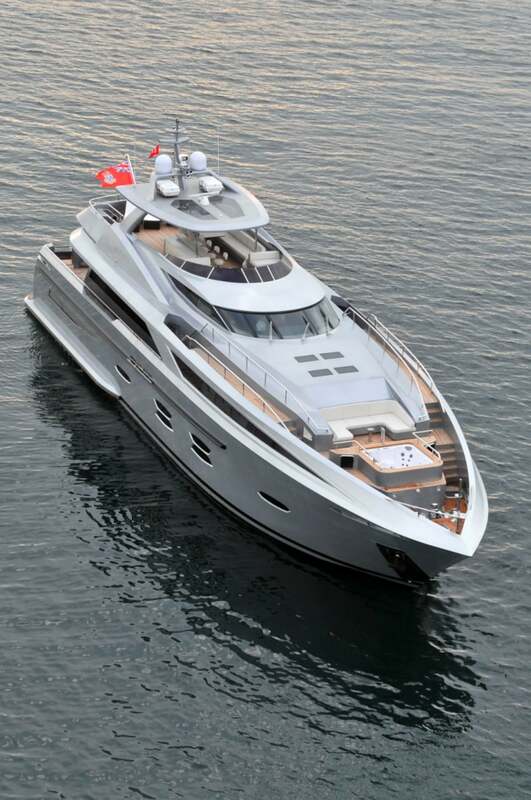 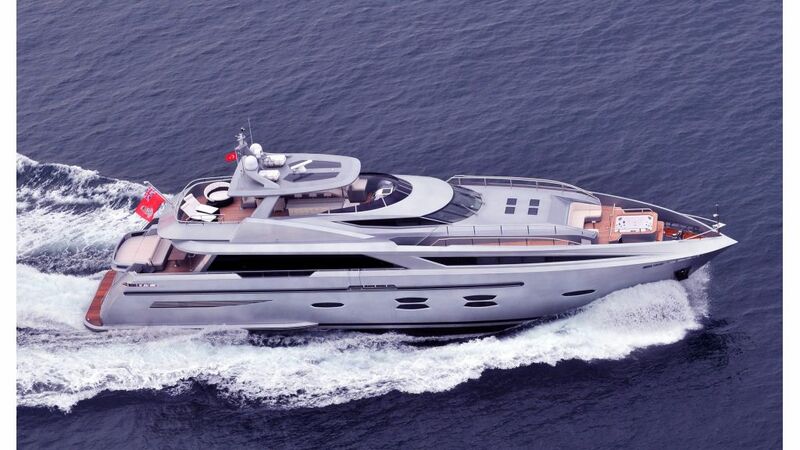 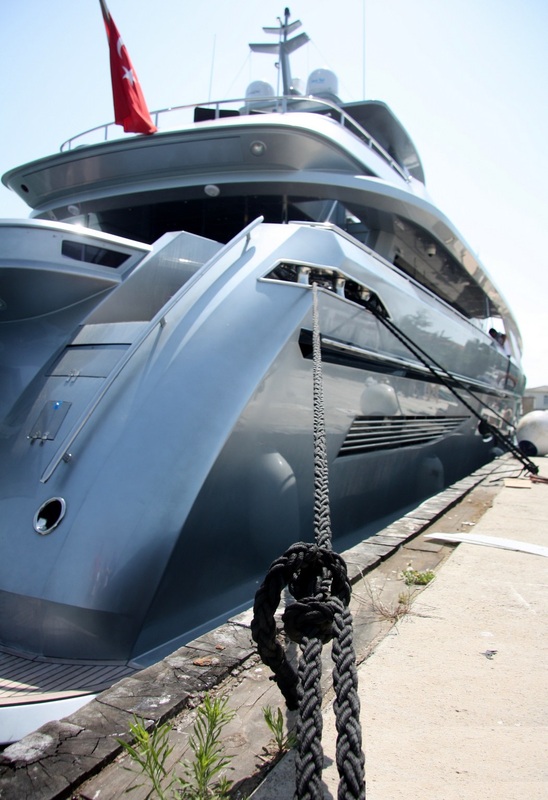 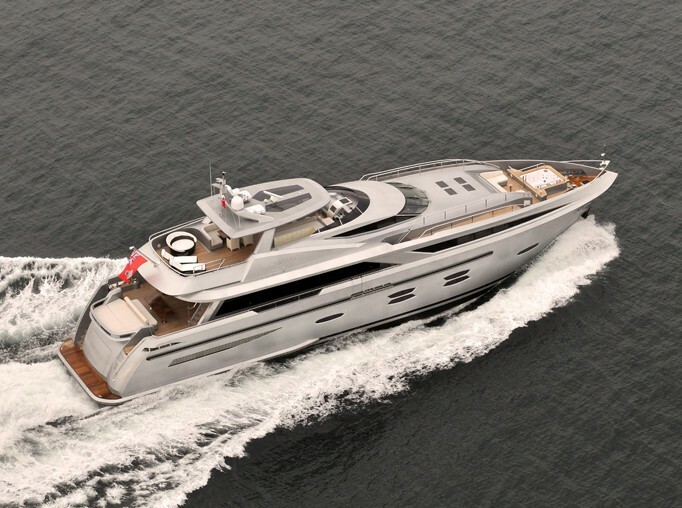 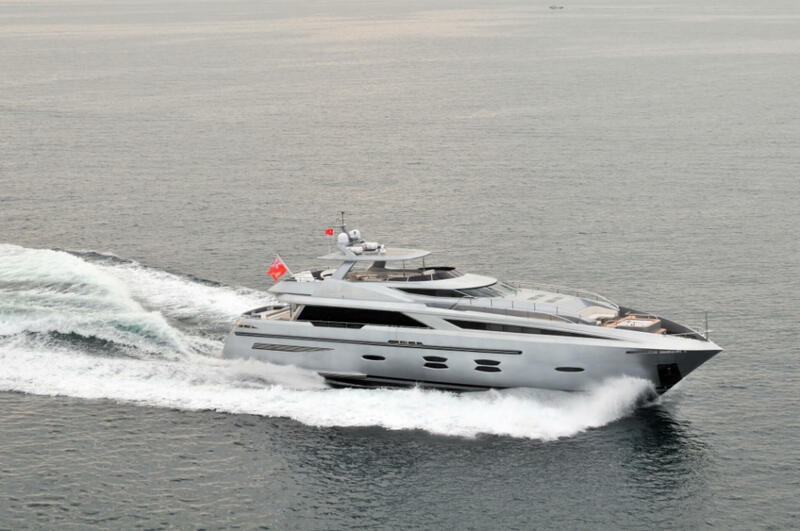 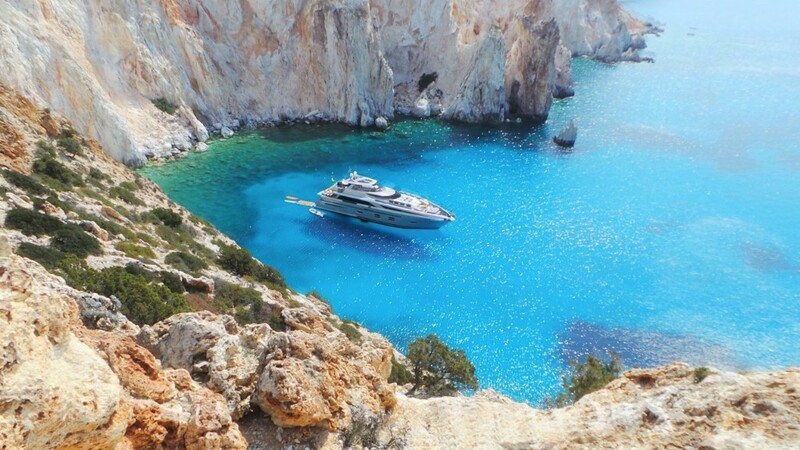 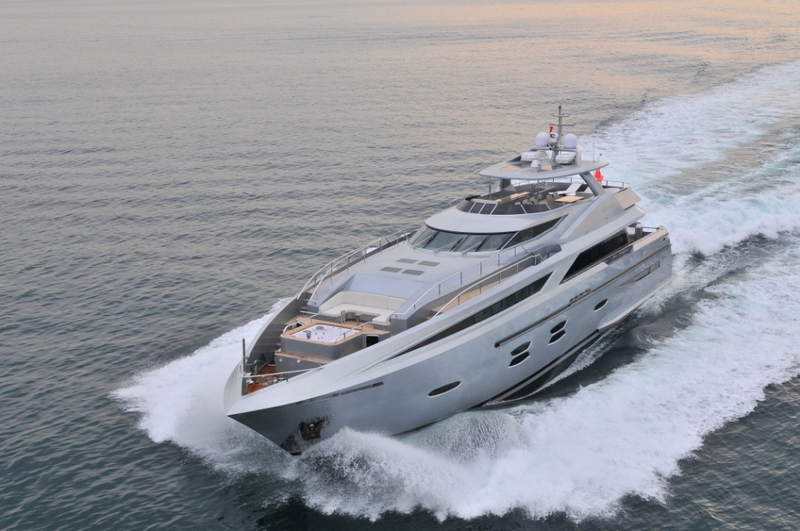 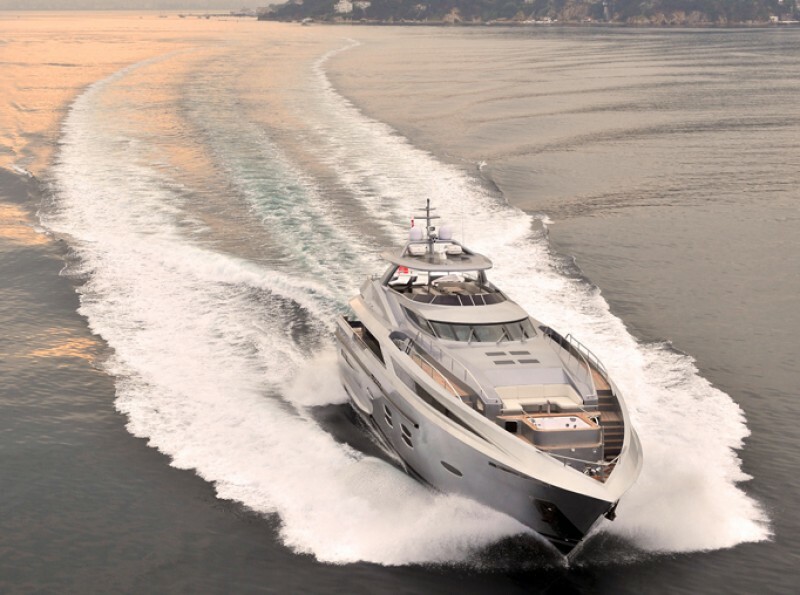 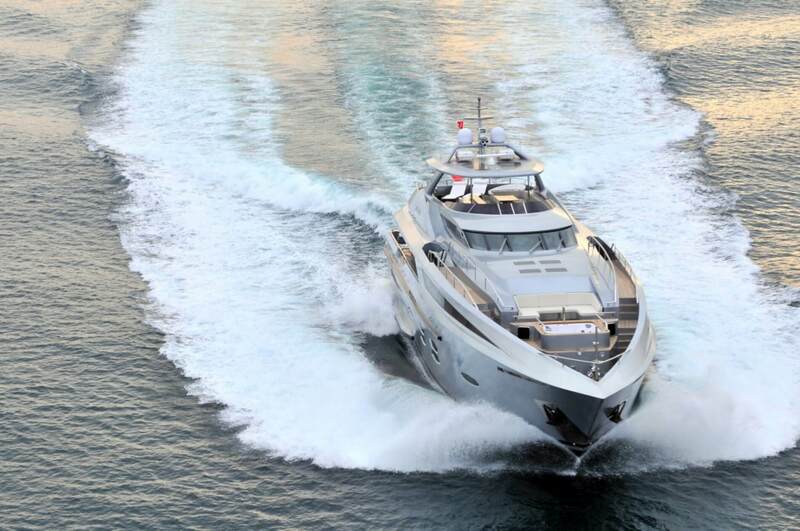 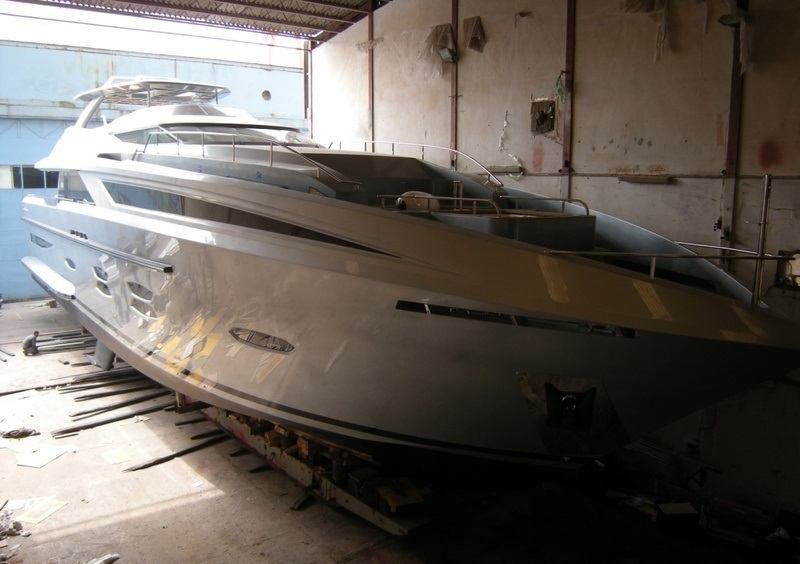 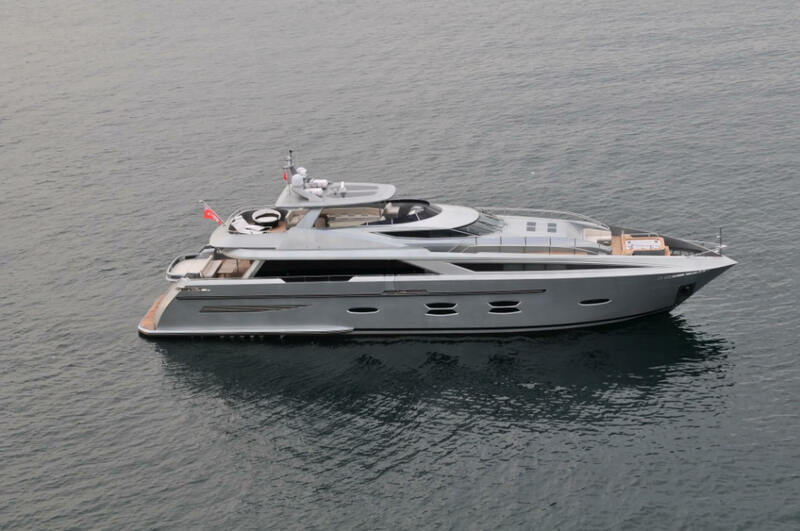 MEYA MEYA was the fifth custom superyacht launched by the Turkish yard LOGOS. 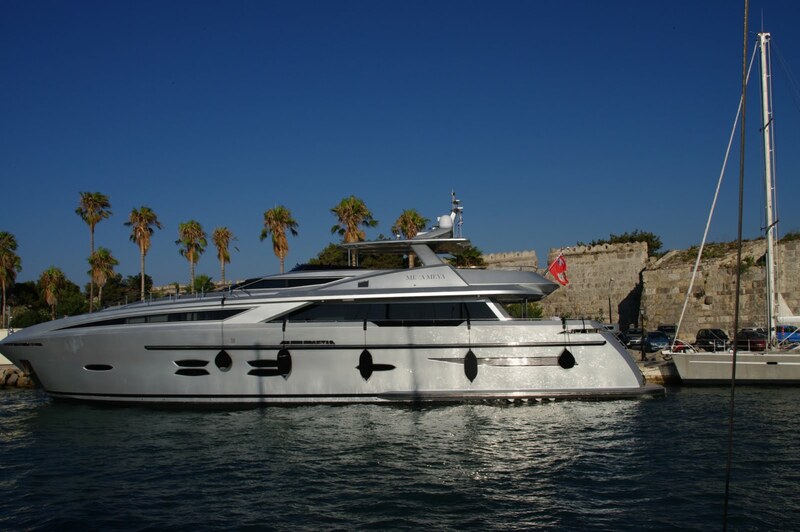 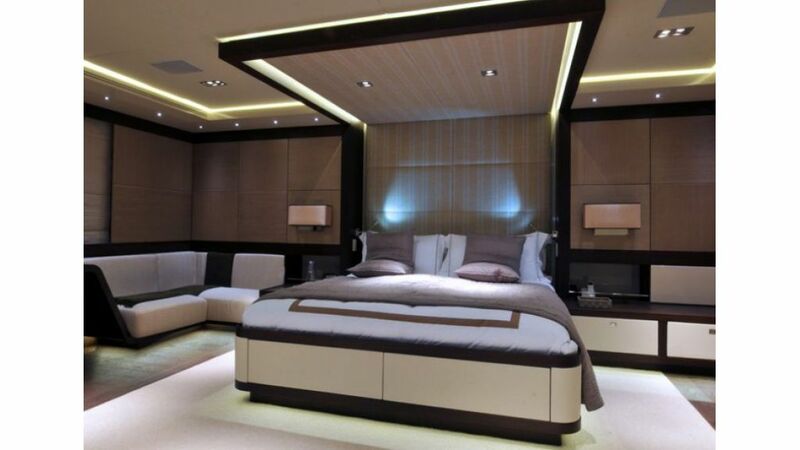 She features high-end specifications making her deserving of her name which means 100 percent. 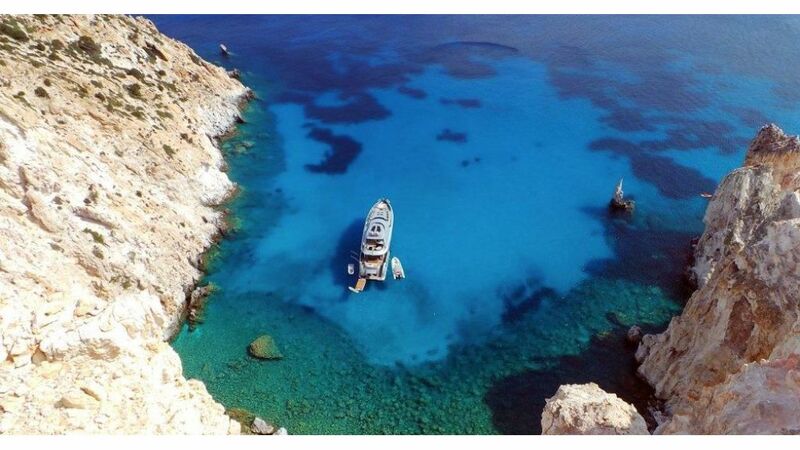 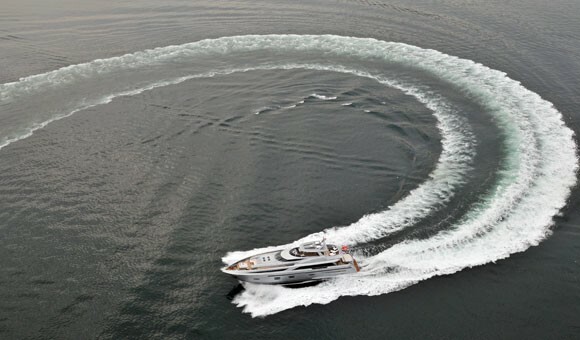 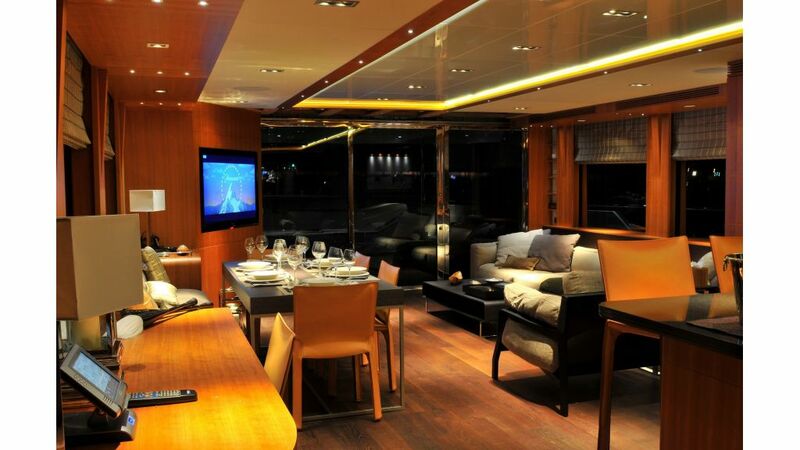 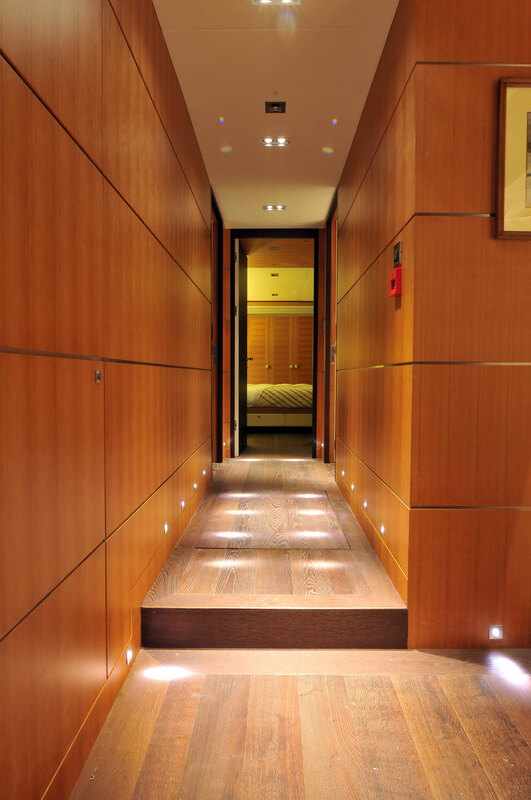 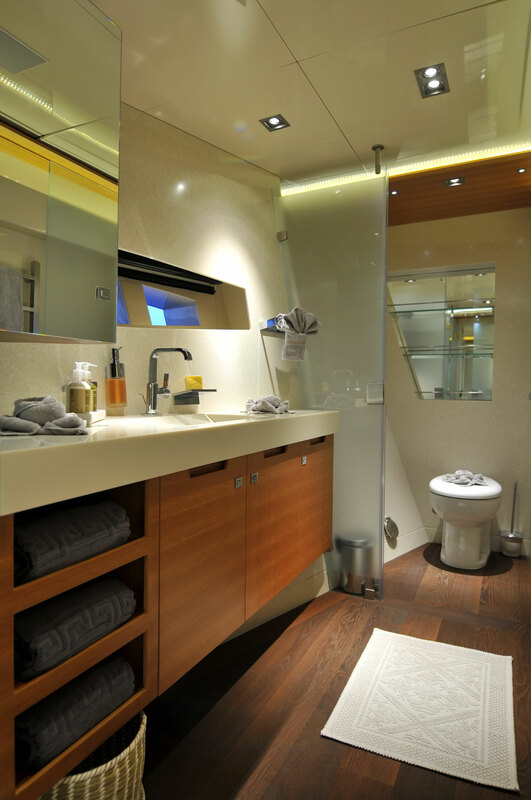 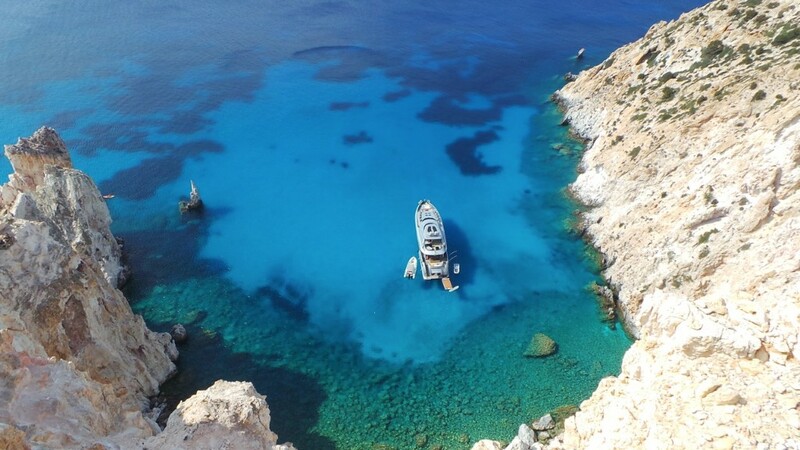 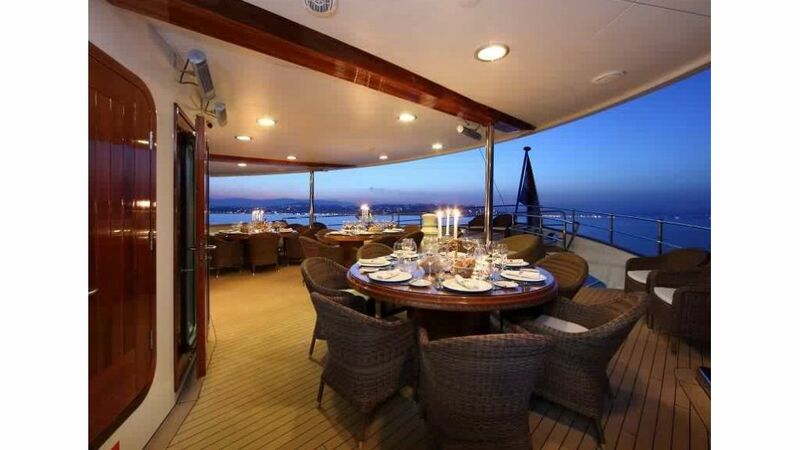 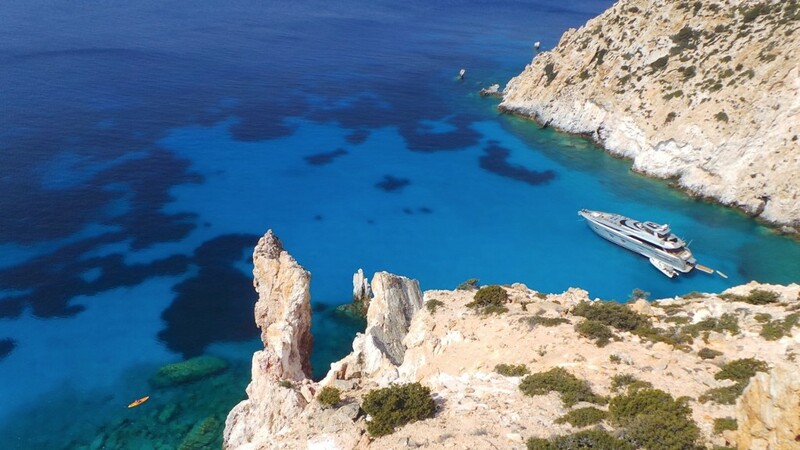 She measures 35 metres, is able to accommodate up to 12 guests in 5 well appointed and spacious cabins. 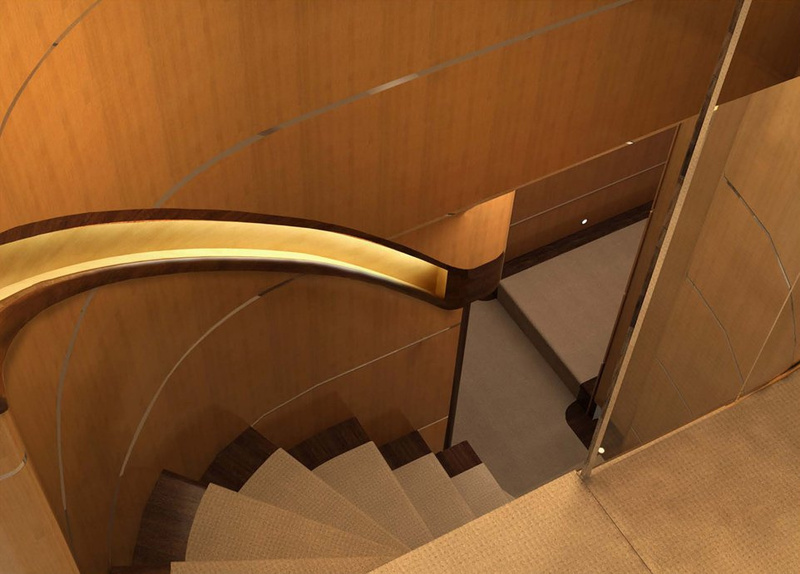 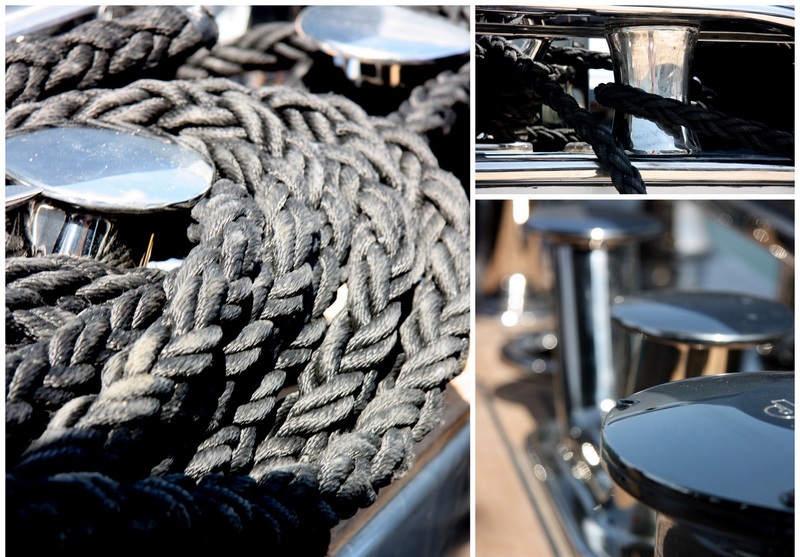 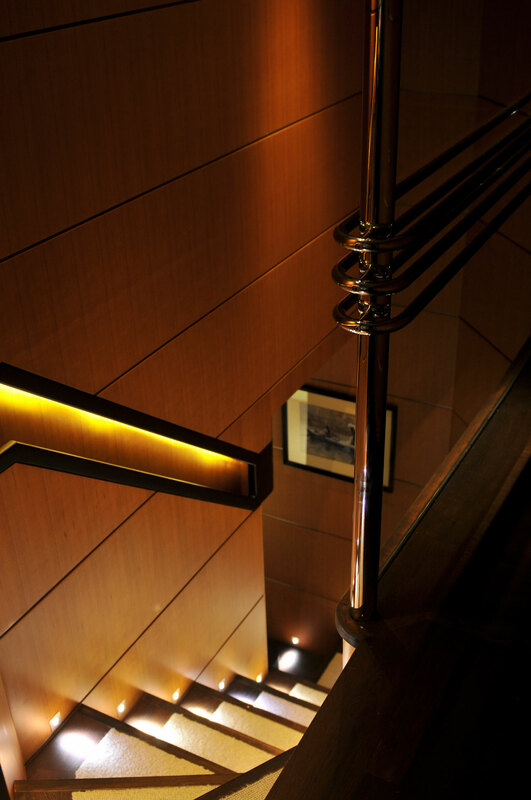 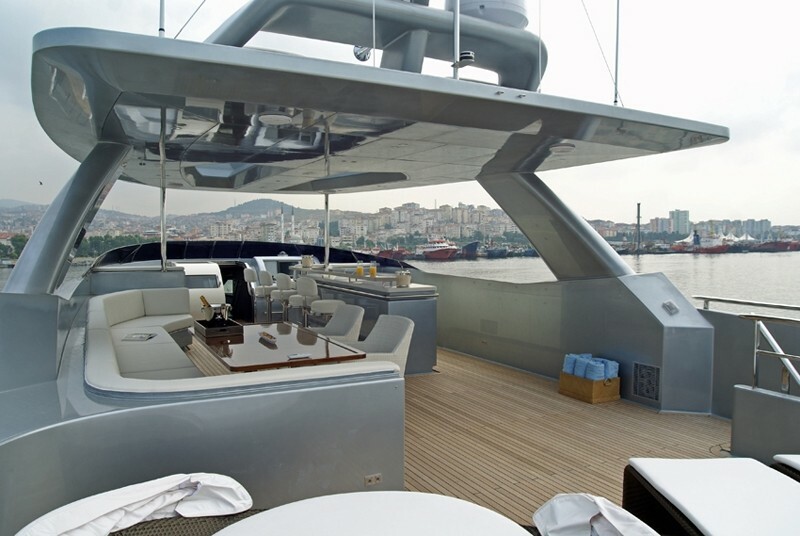 Her naval architecture is the works of Ed Fry of Fryco-USA with interior design by the UK based designer H2 Yacht Design. 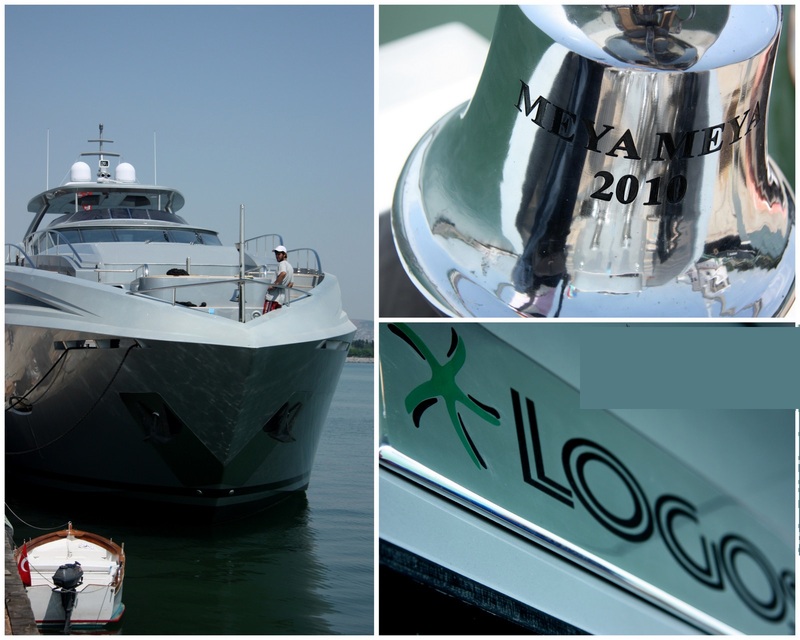 Logos have done her structural design and engineering in house. 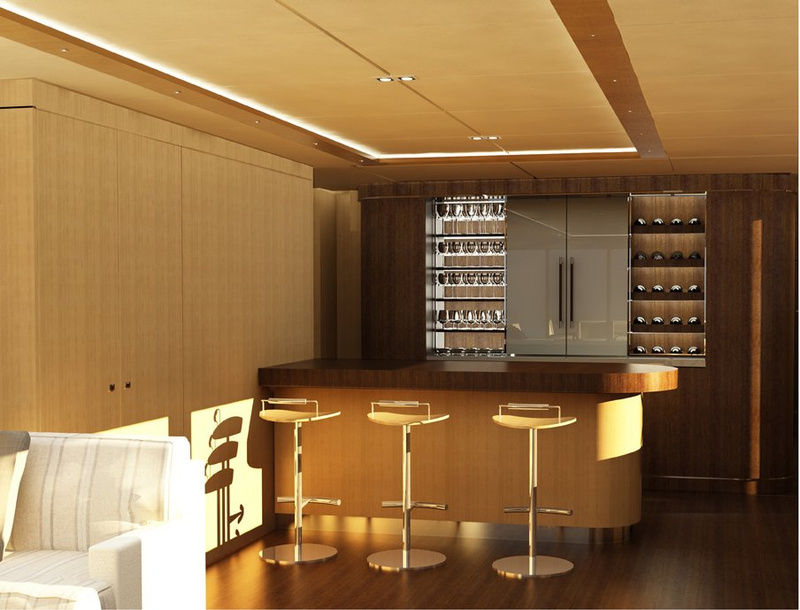 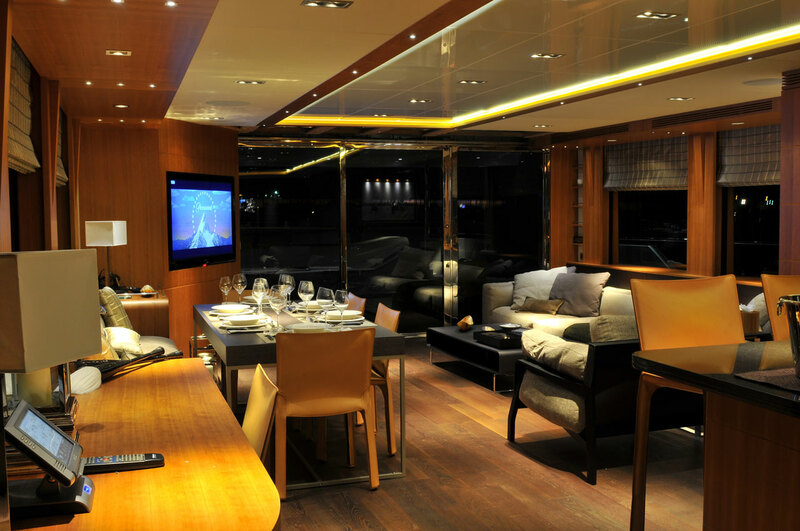 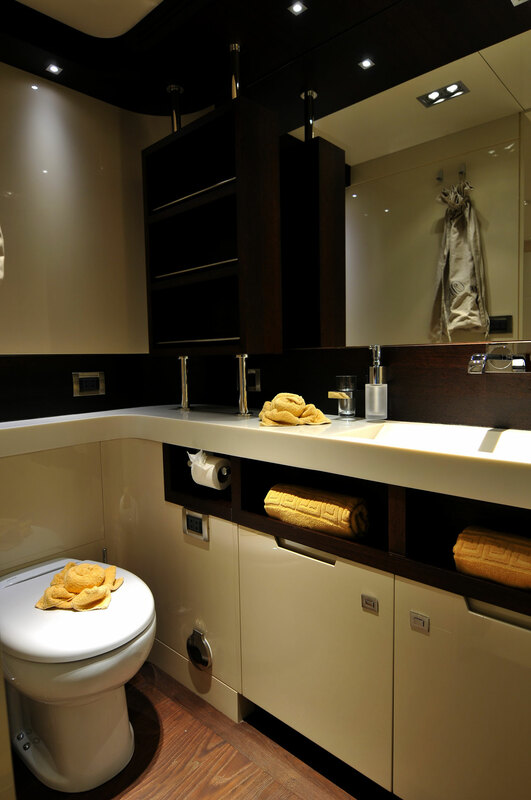 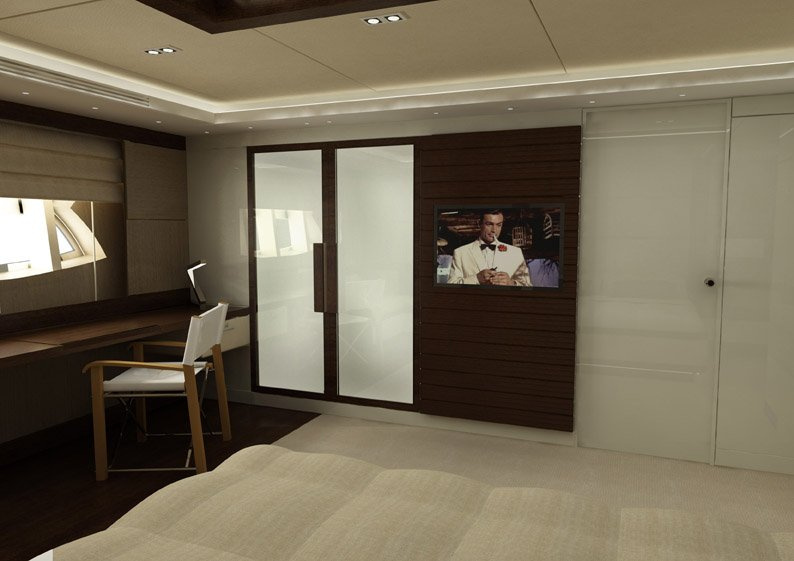 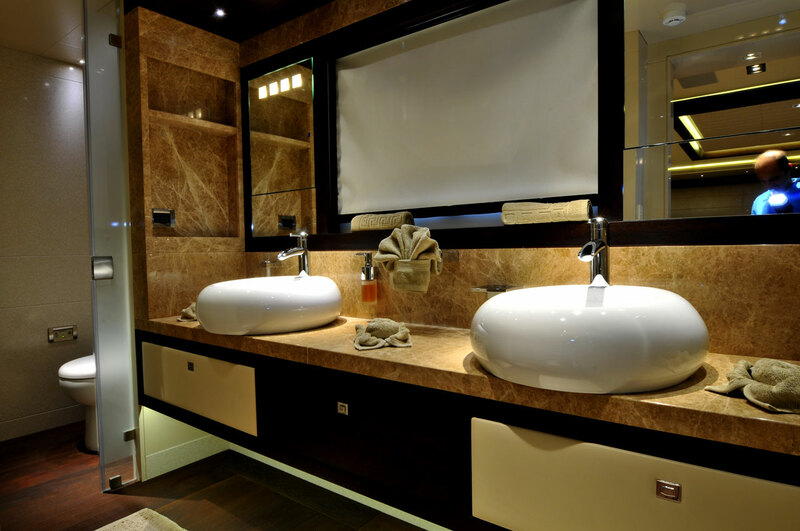 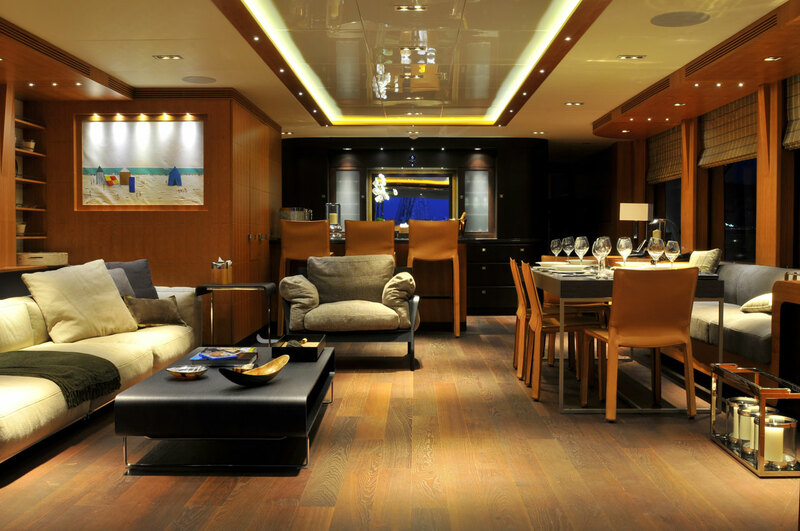 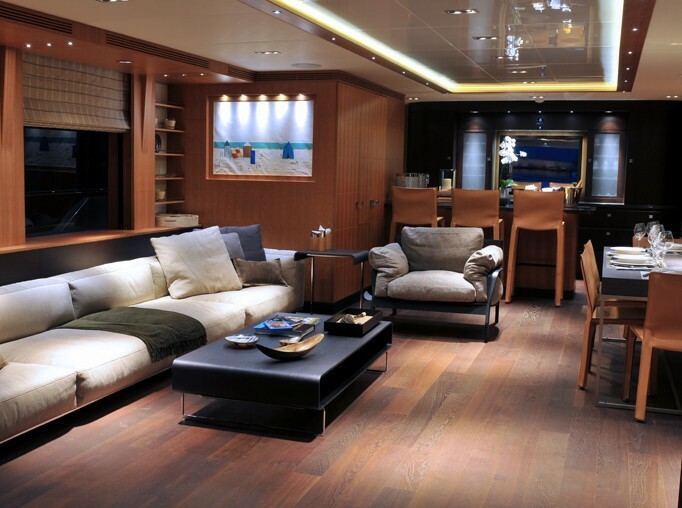 Public interior areas include a raised pilothouse, combined salon and dining areas, the crew mess, a professional galley and laundry facilities. 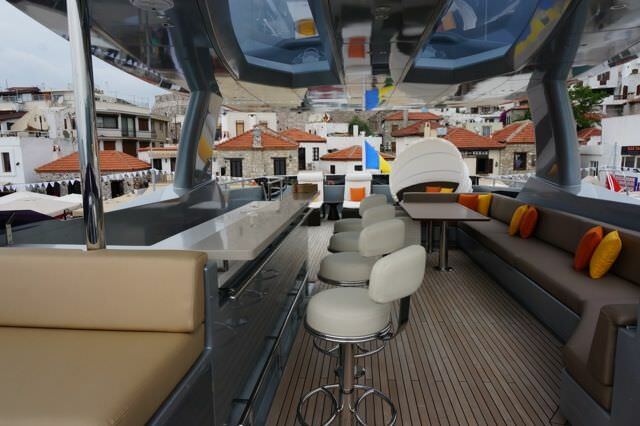 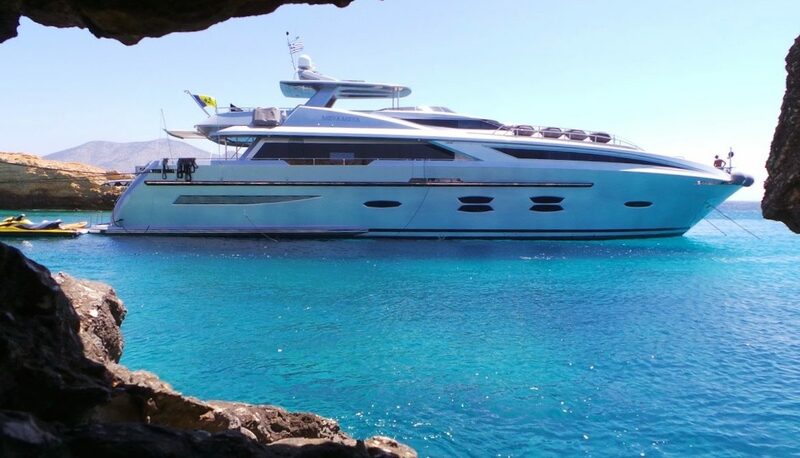 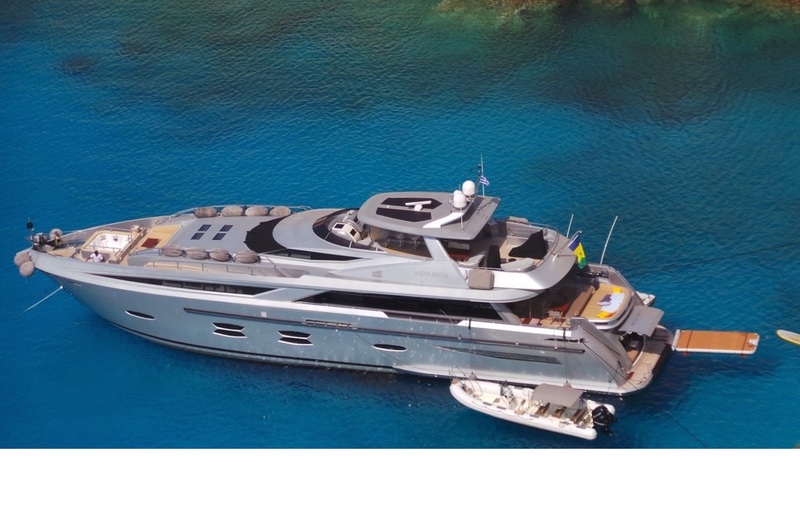 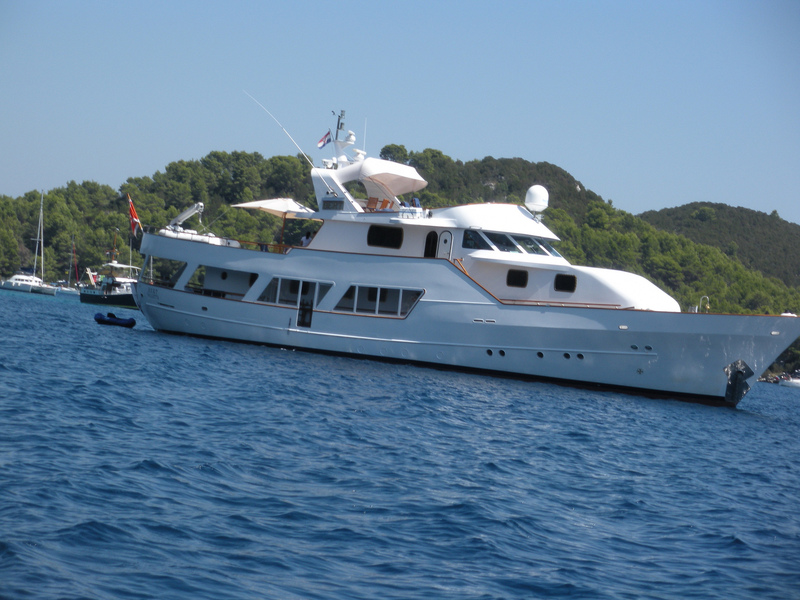 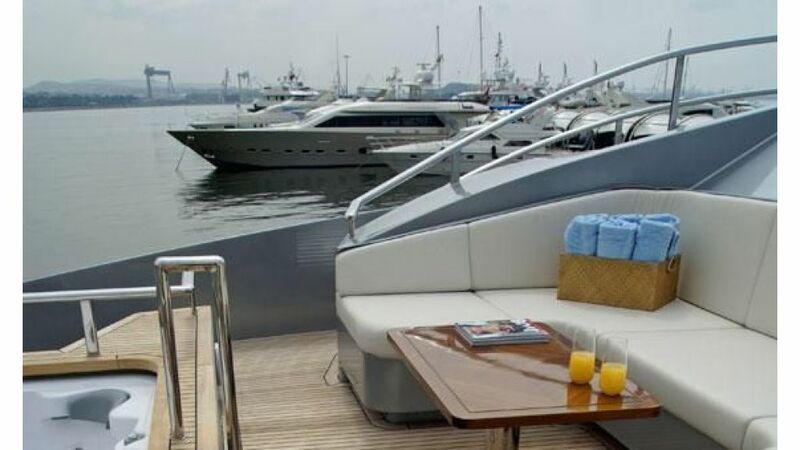 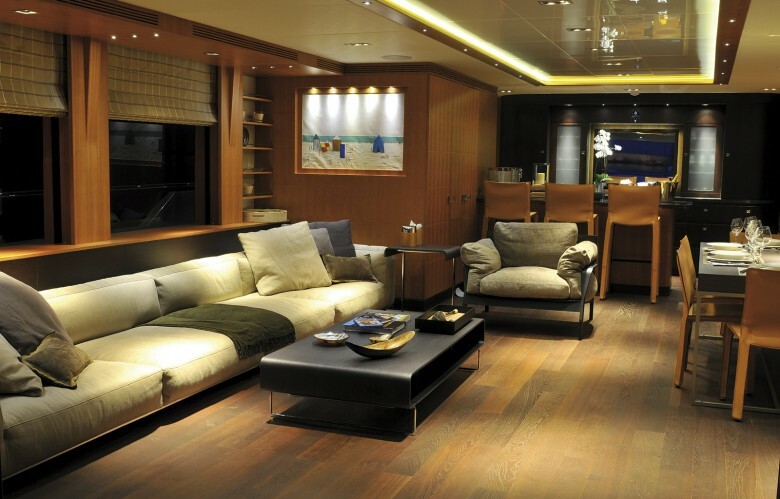 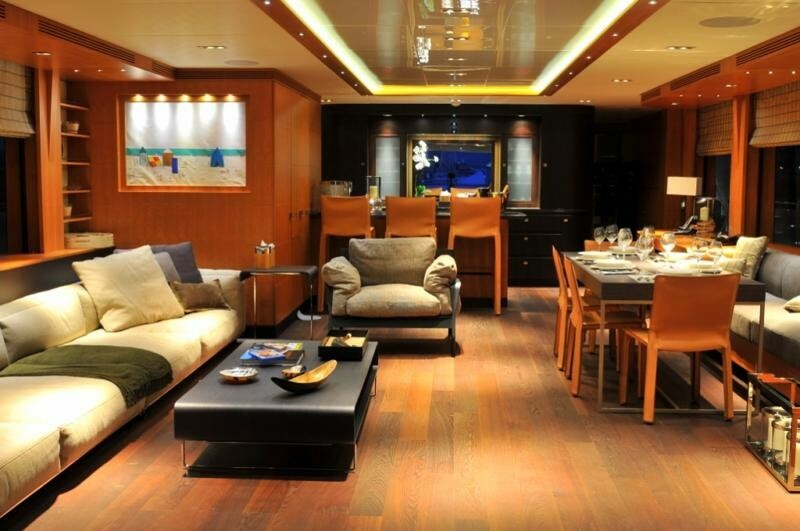 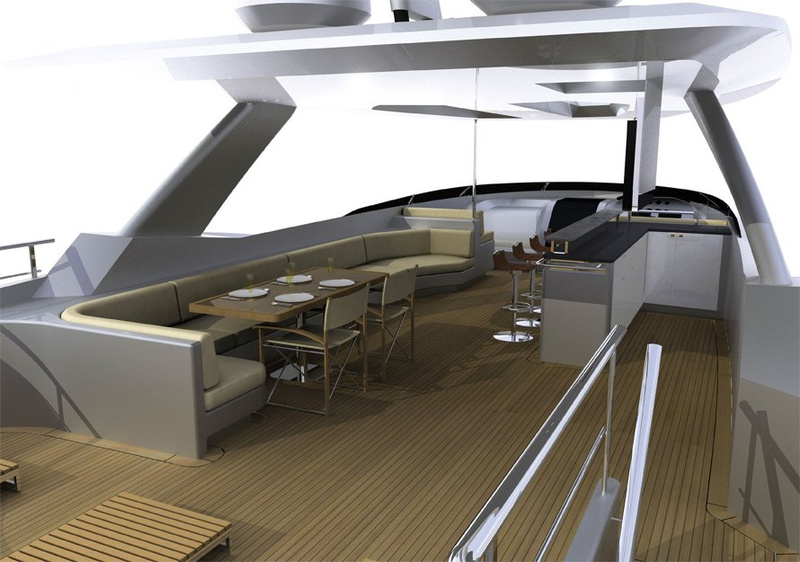 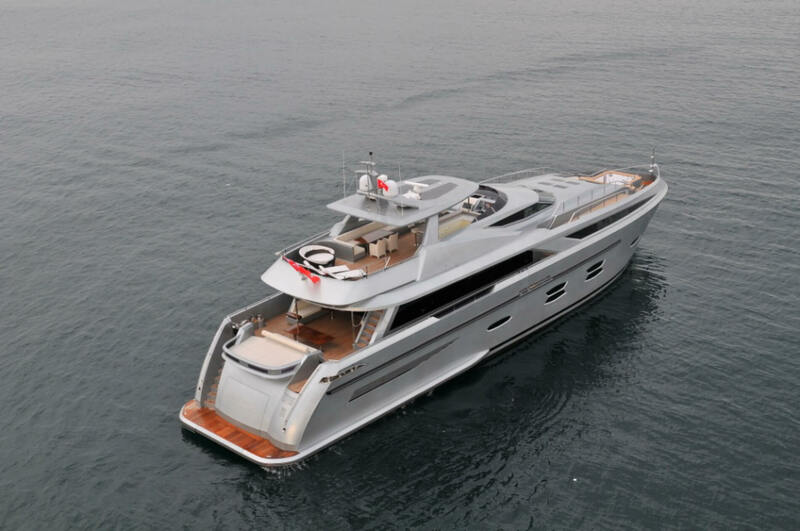 She also features an aft deck seating, sunbathing areas and a bar. 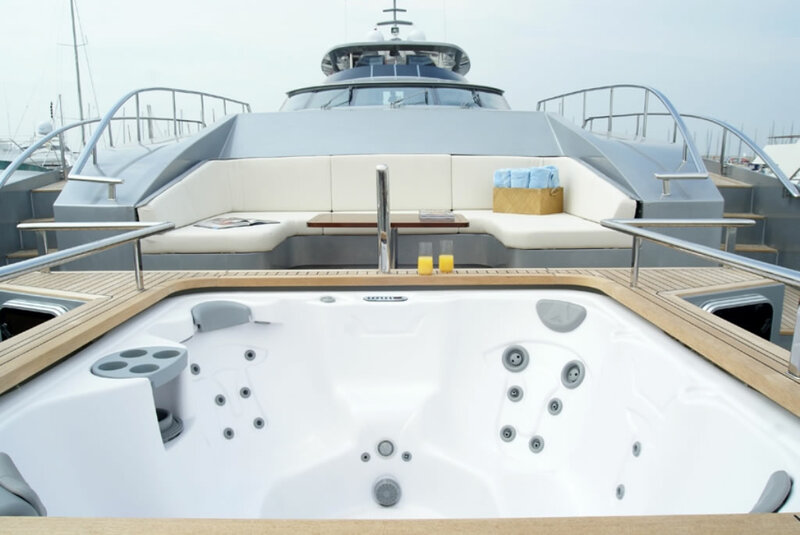 Her forward deck has a four person hot tub and a private lounge. 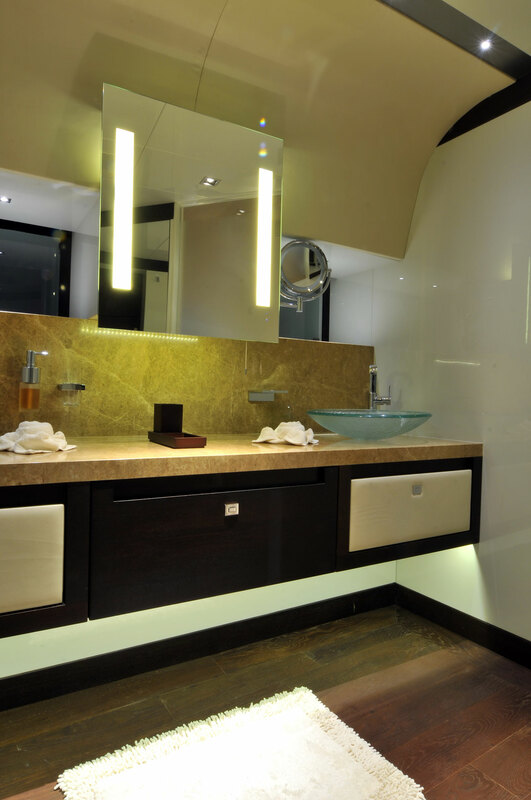 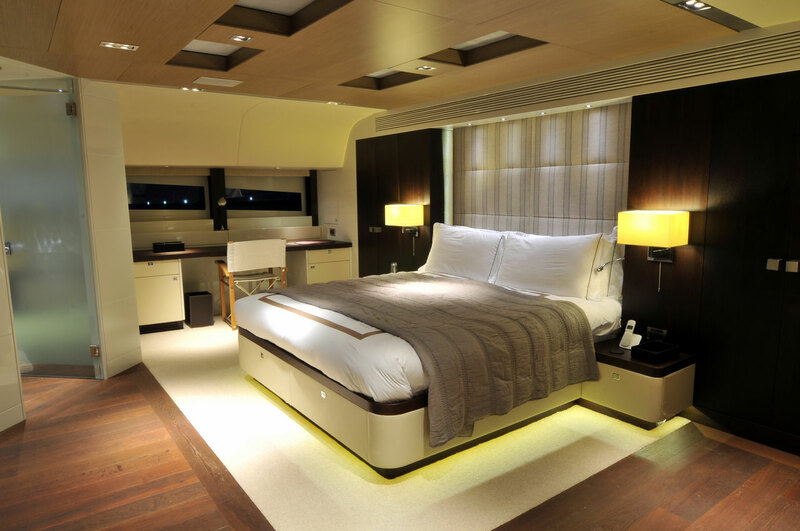 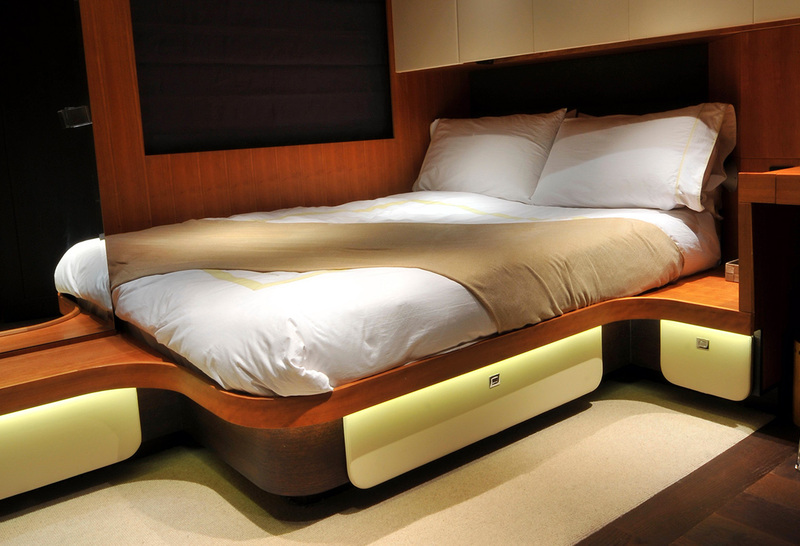 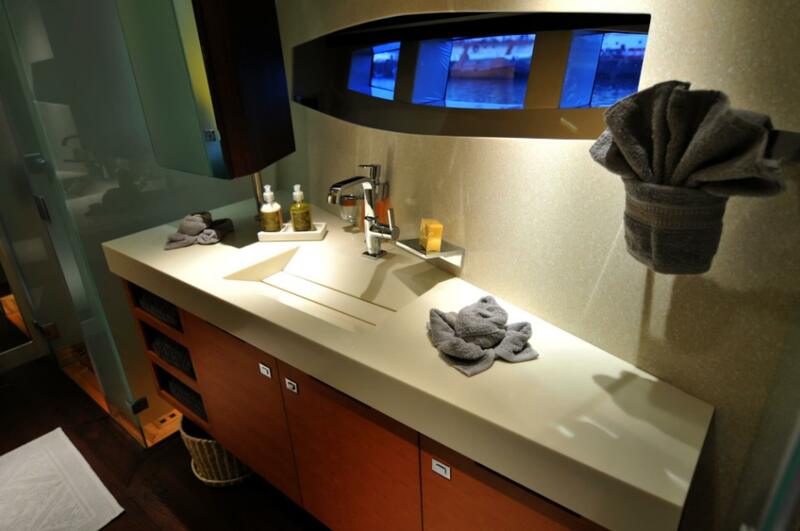 Her flybridge features seating areas, loose sunbathing and large-bar service. 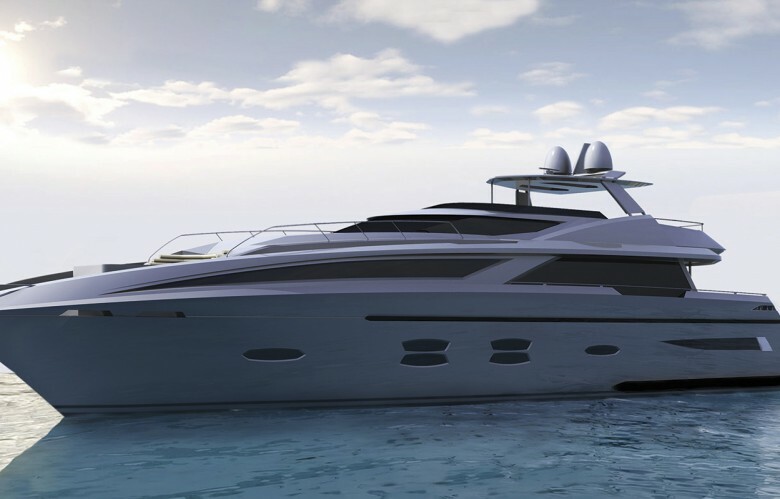 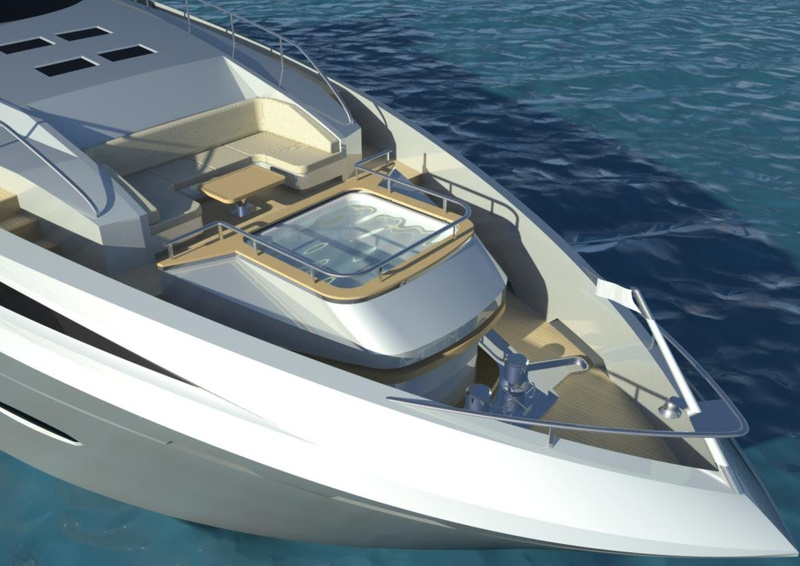 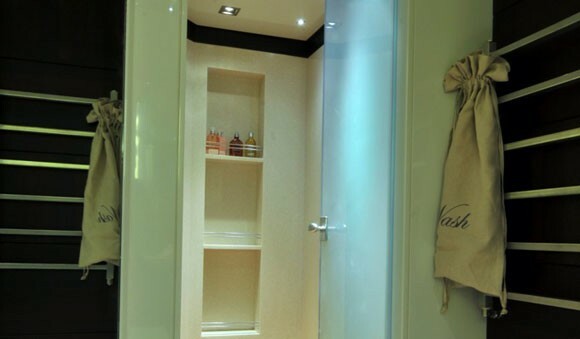 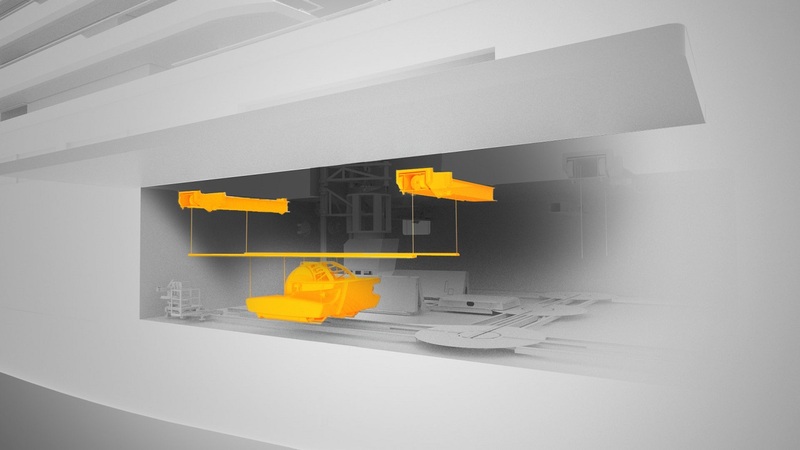 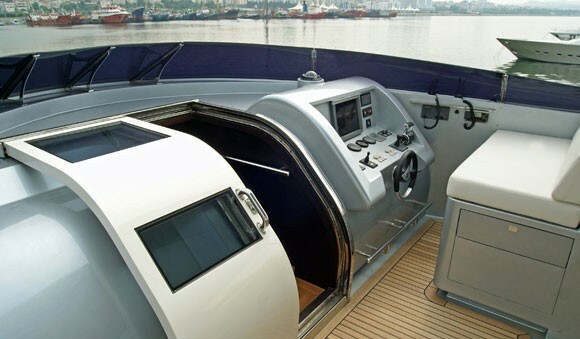 Her design also includes a 2.7 metre wide Transom door that opens up to reveal a 5 metre tender and jet-ski, which are stored in the lazarette when not in use. 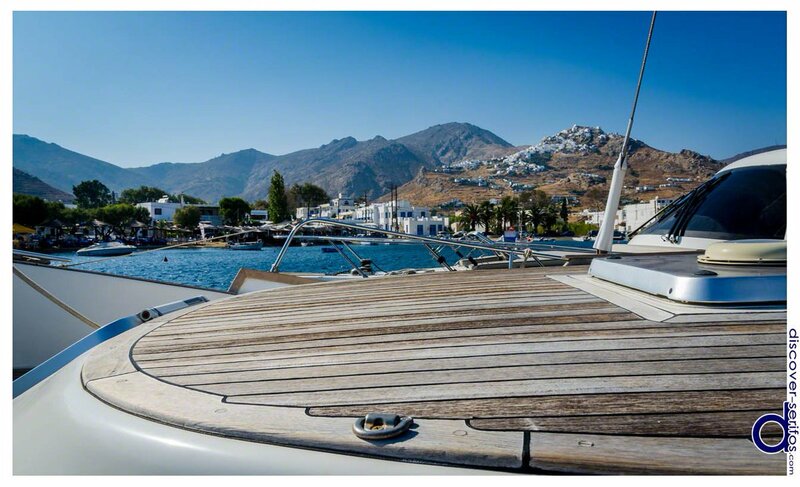 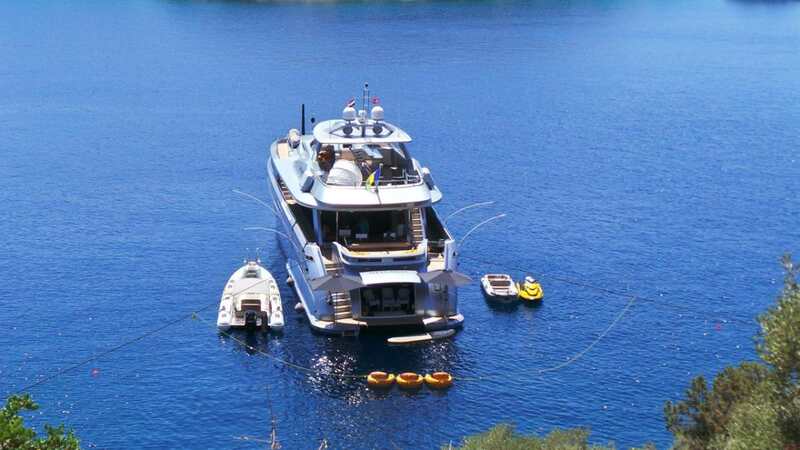 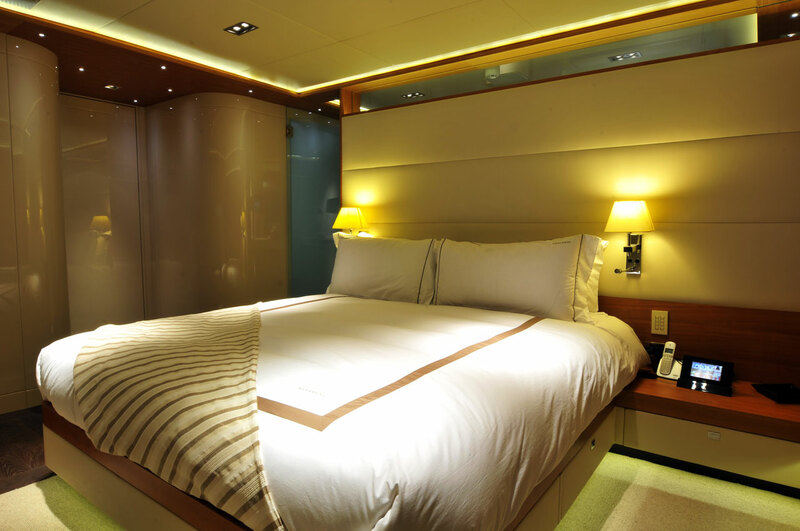 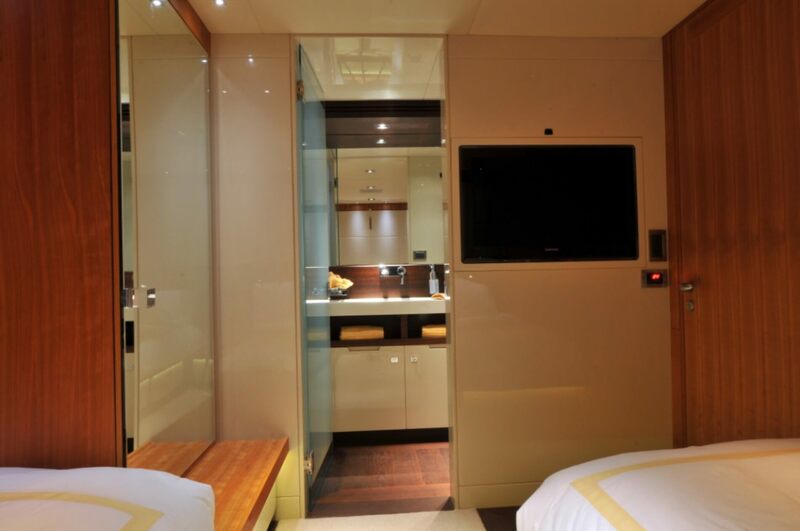 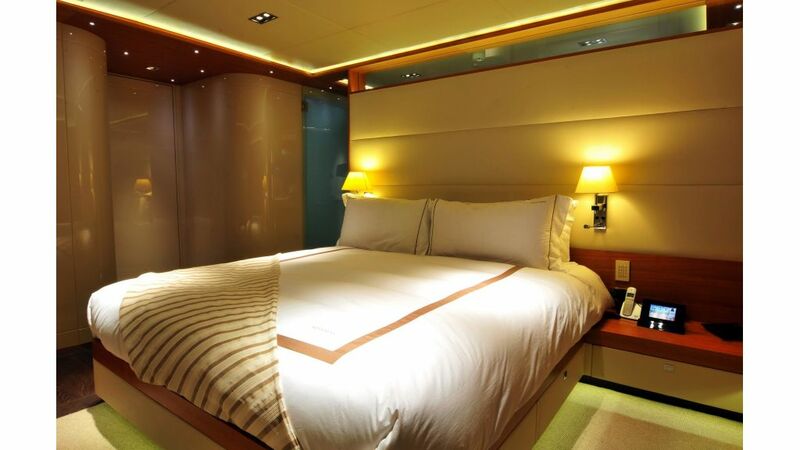 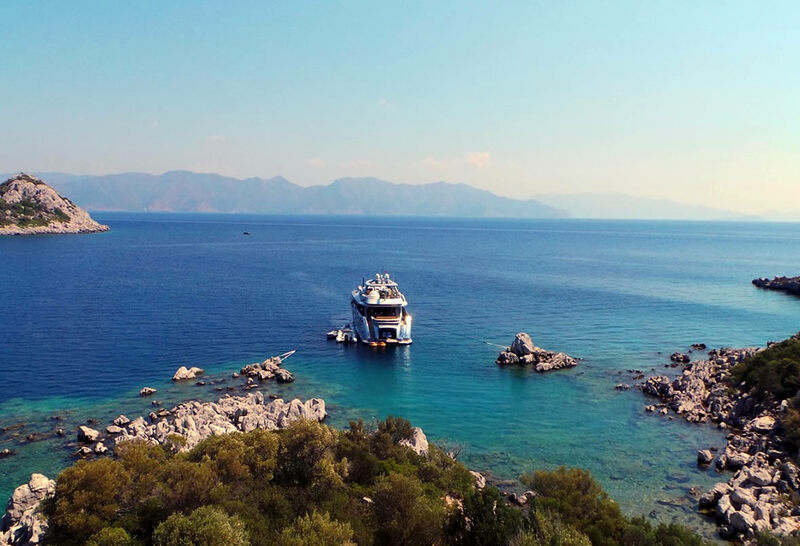 MEYA MEYA'S NOTABLE FEATURES: Spa pool on sundeck ~ Hydraulic swimming platform that lowers into the water ~ Great selection of water toys ~ extremely spacious and comfortable cabins ~ Family friendly. 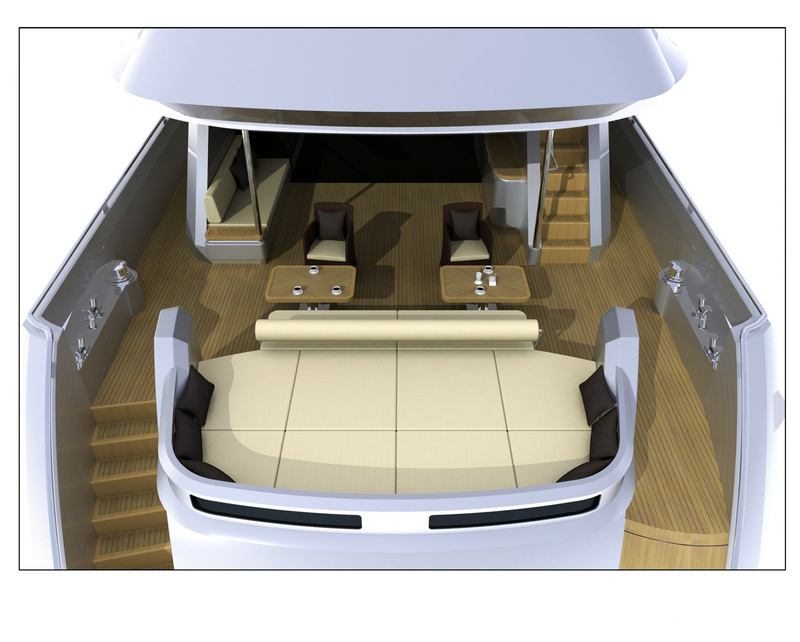 Meya Meya's features also include an electrical fold-out door, telescopic sun awning, retractable swimming ladder, up-down swimming platform and a 5 metre bow thruster and zero-speed stabilisers, as well as a Technicomar sewage treatment plant, two four-ton Idromar watermakers and an Alfa Laval fuel separator within the engine room. 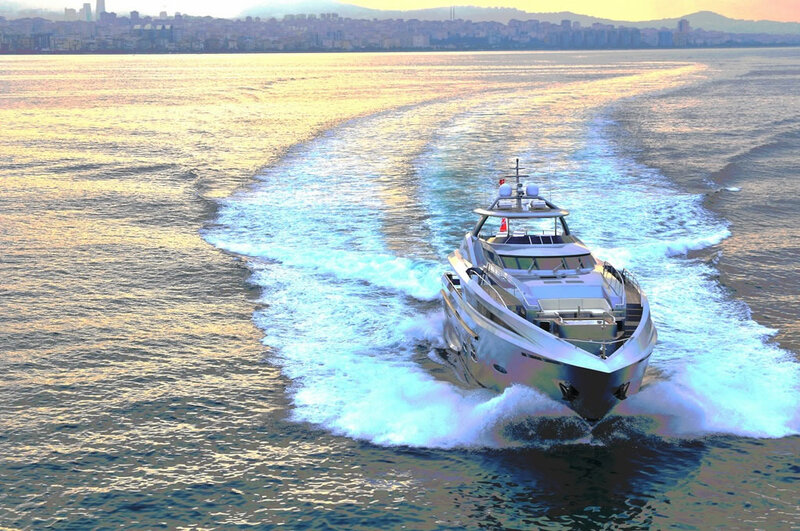 Twin MTU 16V 2000 M93 diesel engines, 2,400 hp each, deliver a maximum speed of 23 knots and an economical cruising speed of 12 knots. 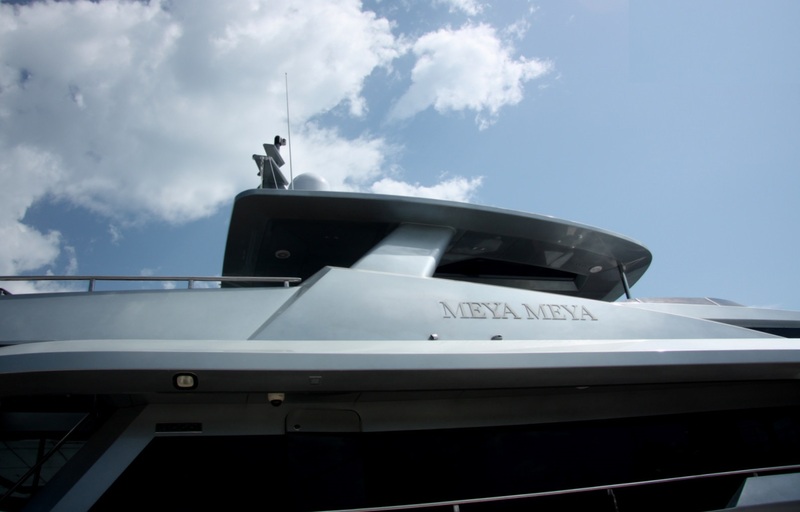 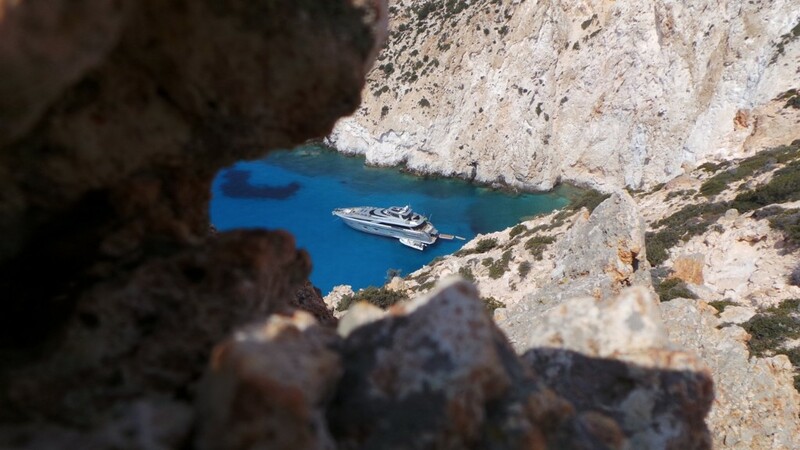 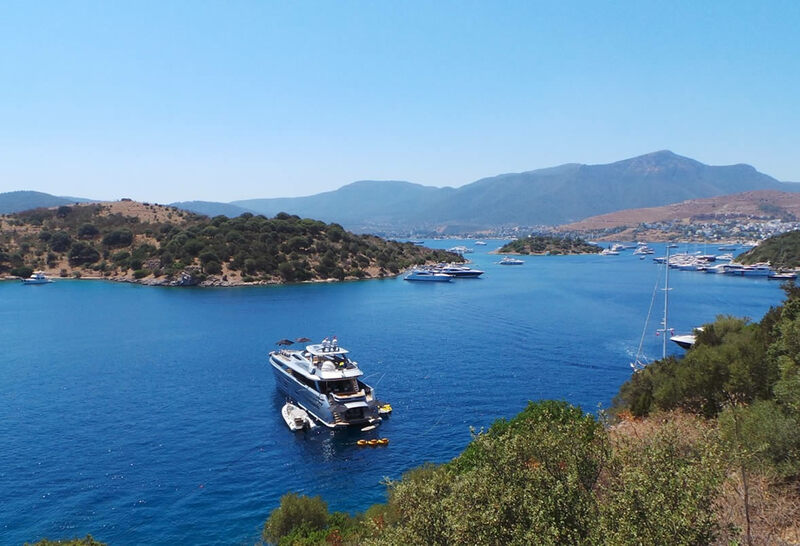 Superyacht Meya Meya is able to accommodate up to 12 guests in 5 cabins including two full-beam master cabins, one located on the main deck and one on the lower deck, a full-beam VIP stateroom and two guest staterooms. 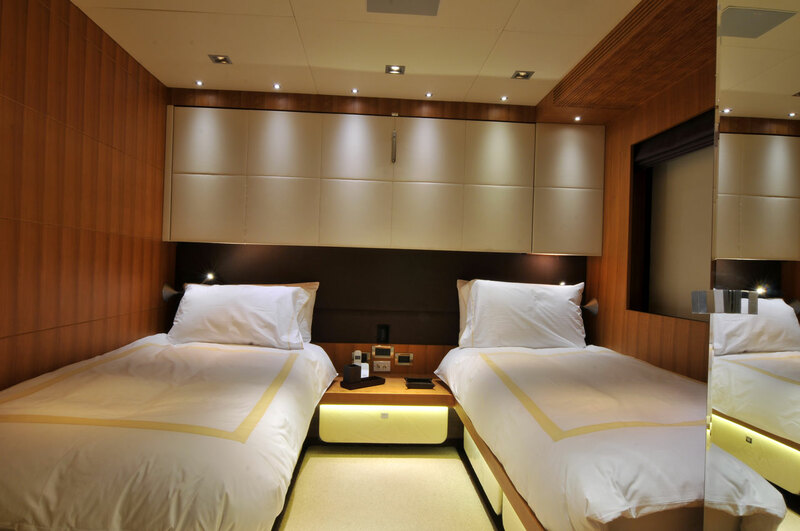 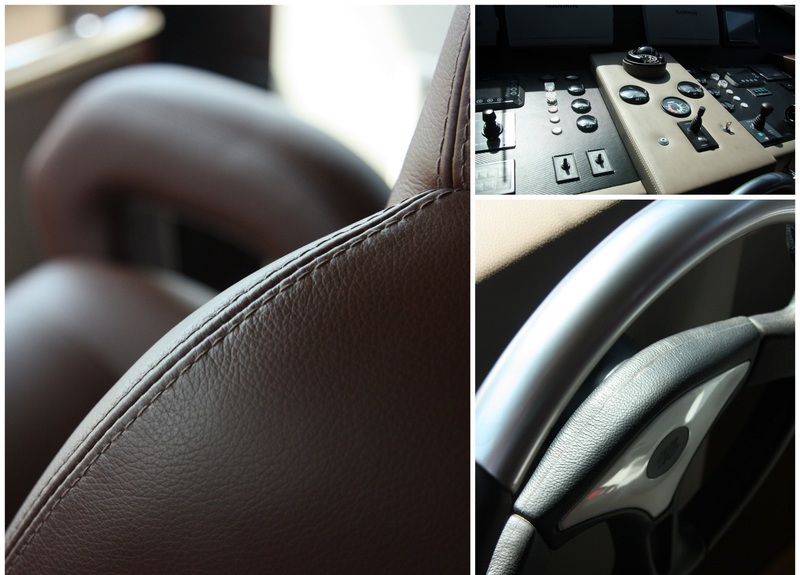 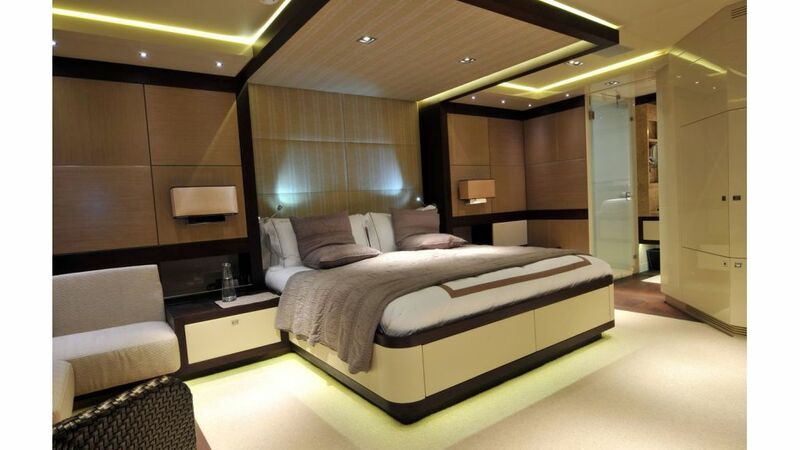 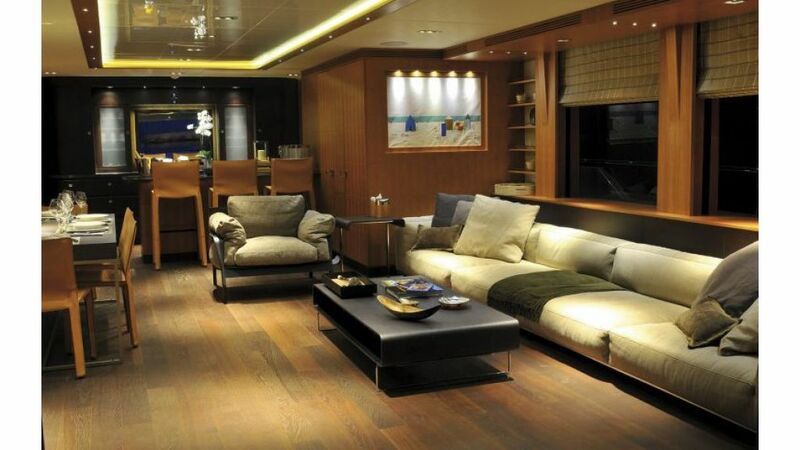 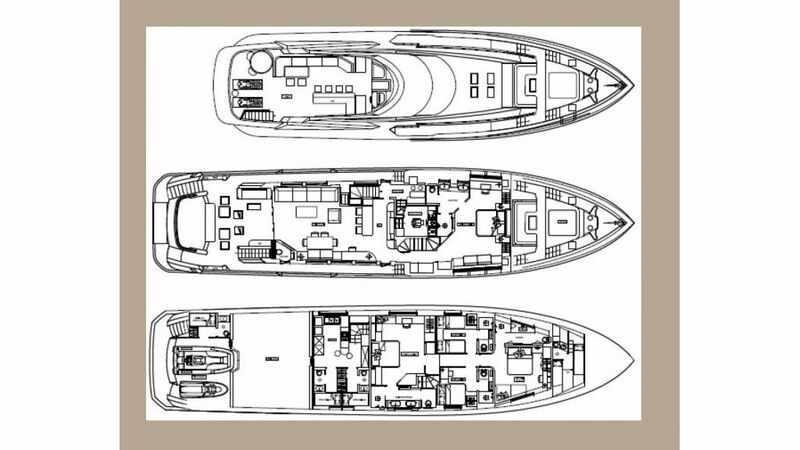 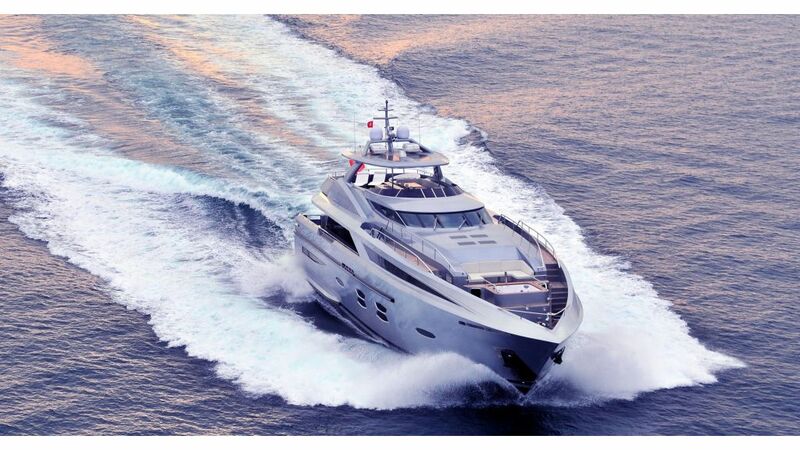 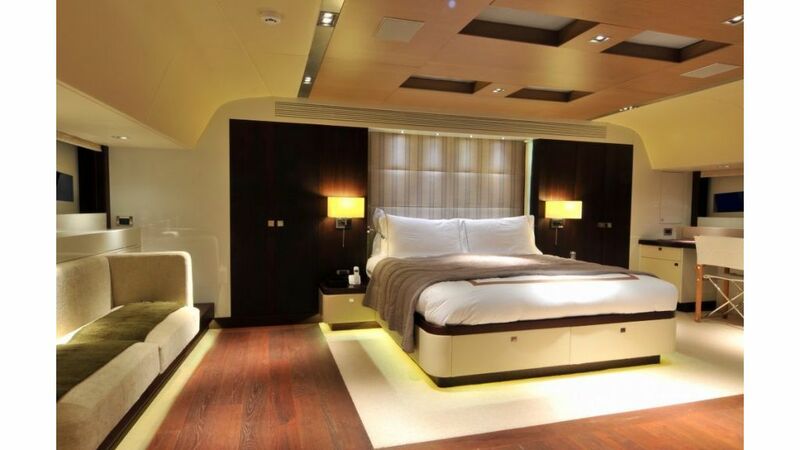 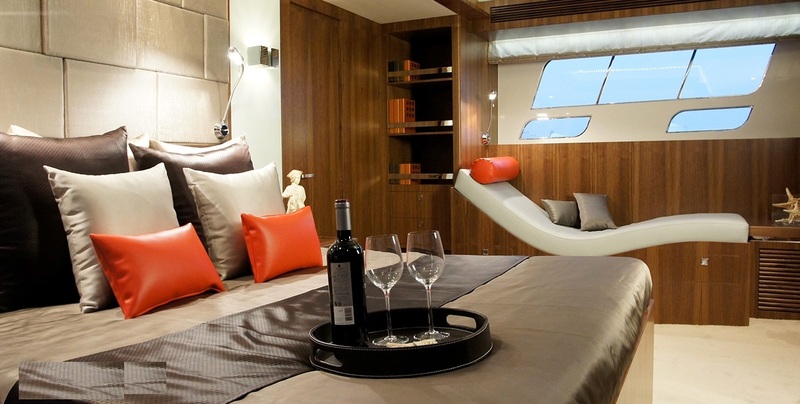 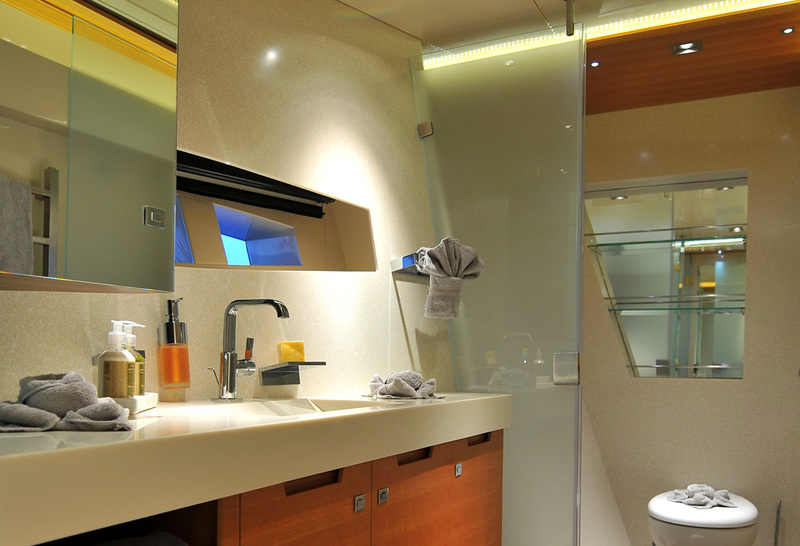 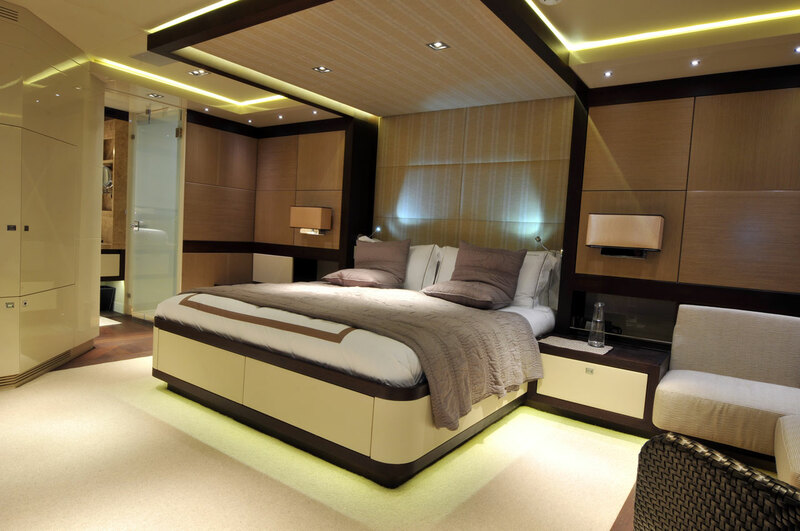 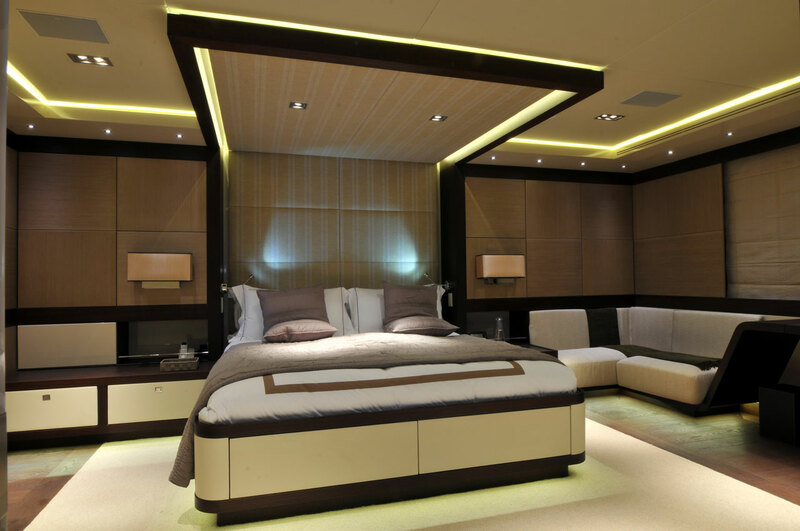 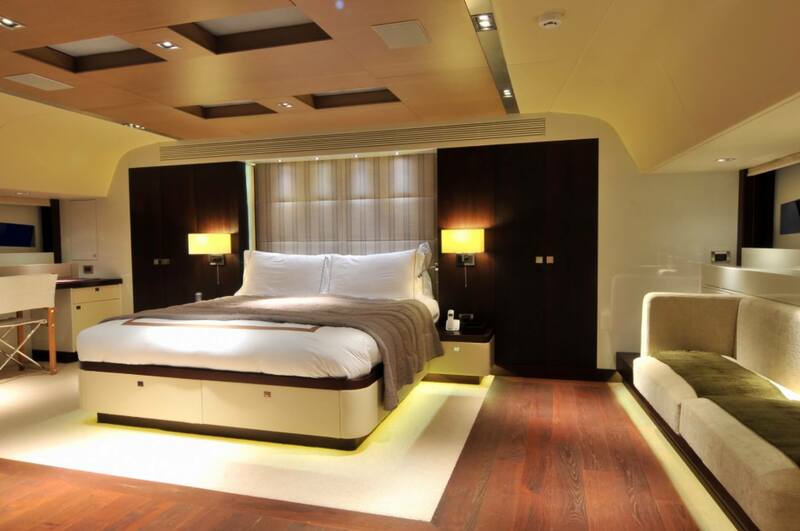 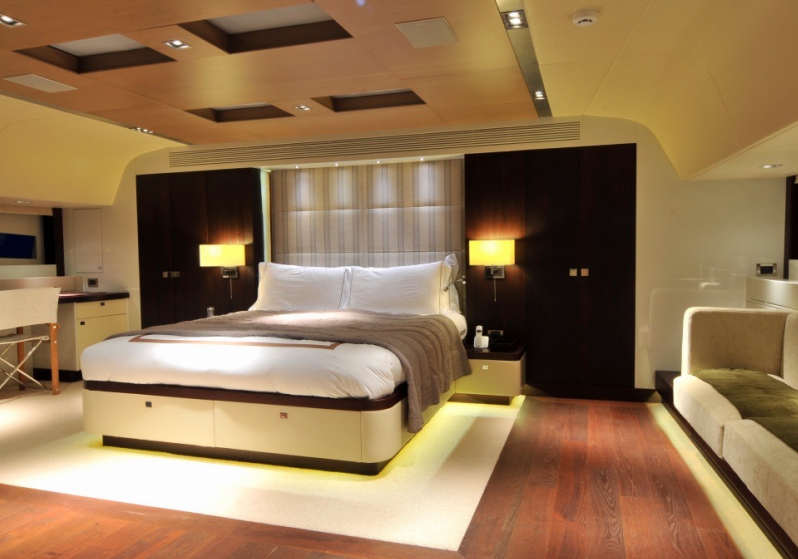 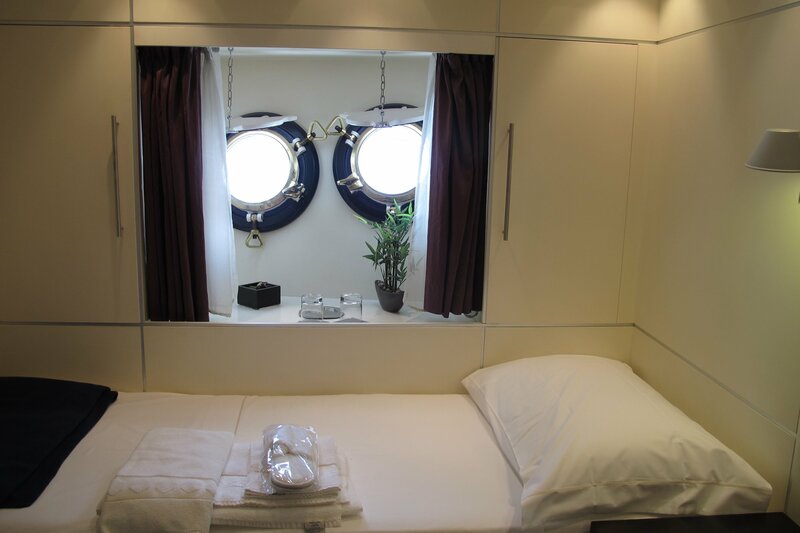 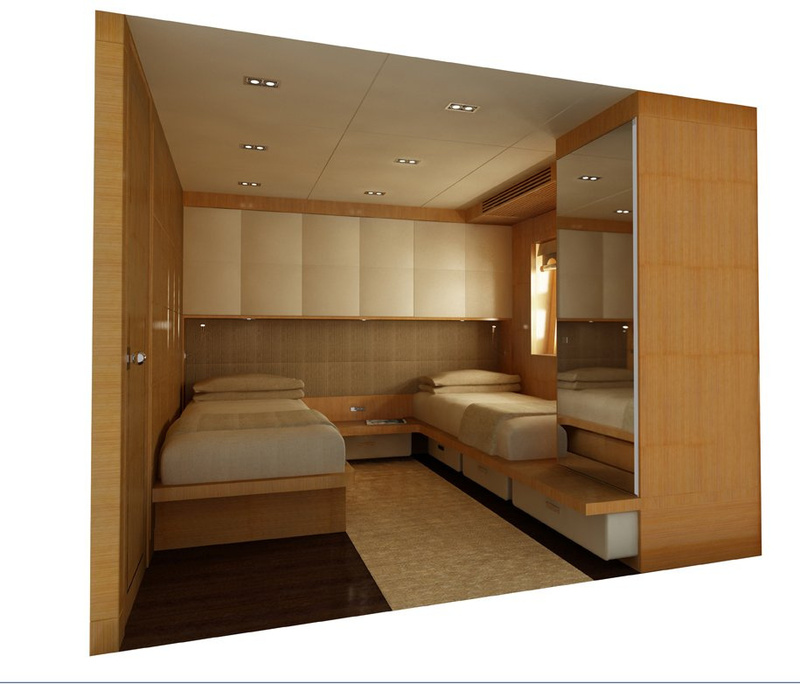 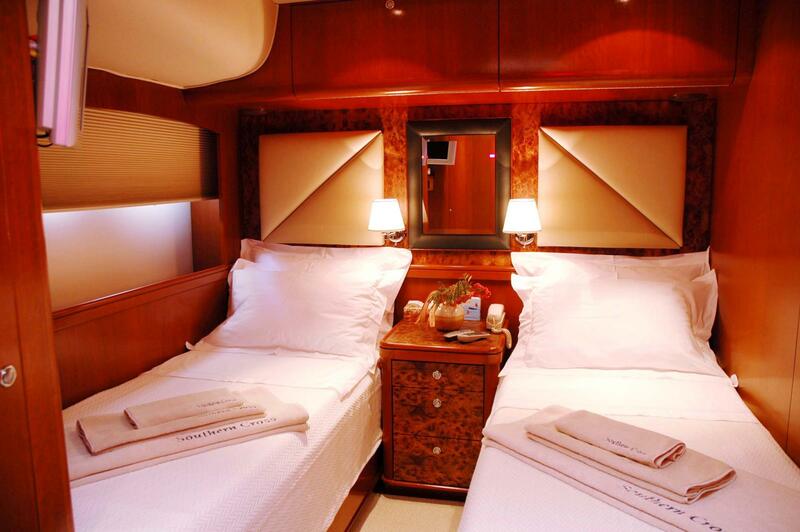 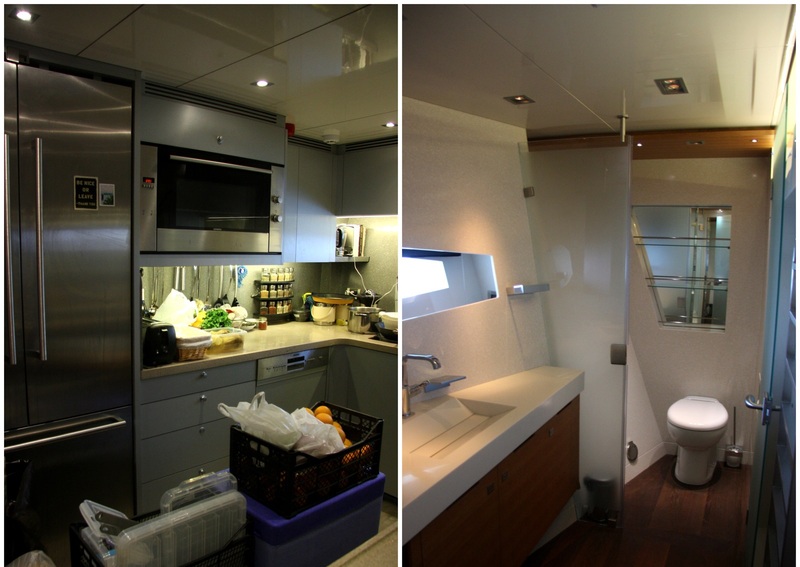 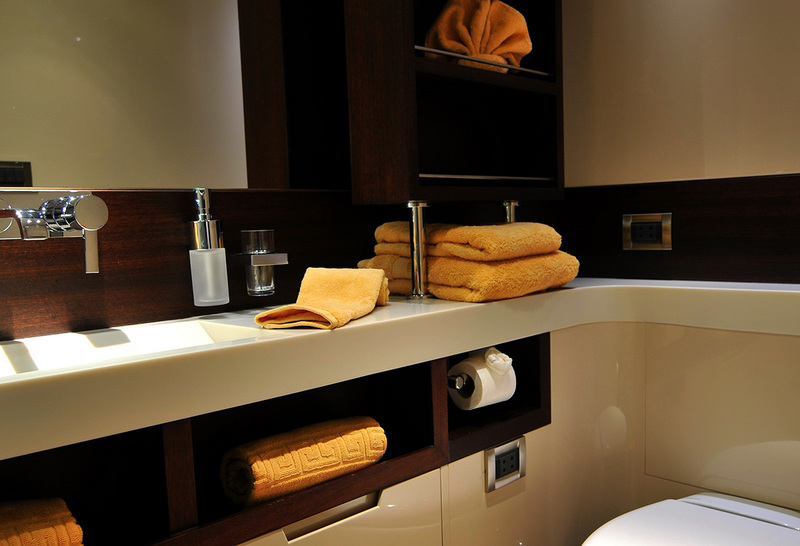 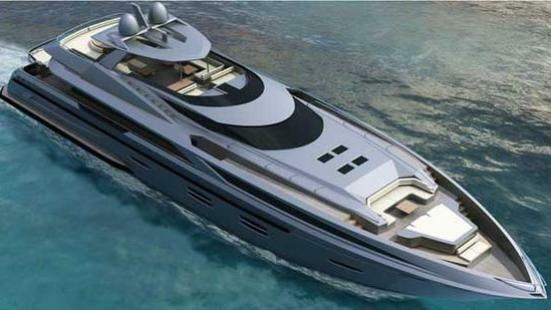 She is able to accommodate seven crew members in four crew cabins. 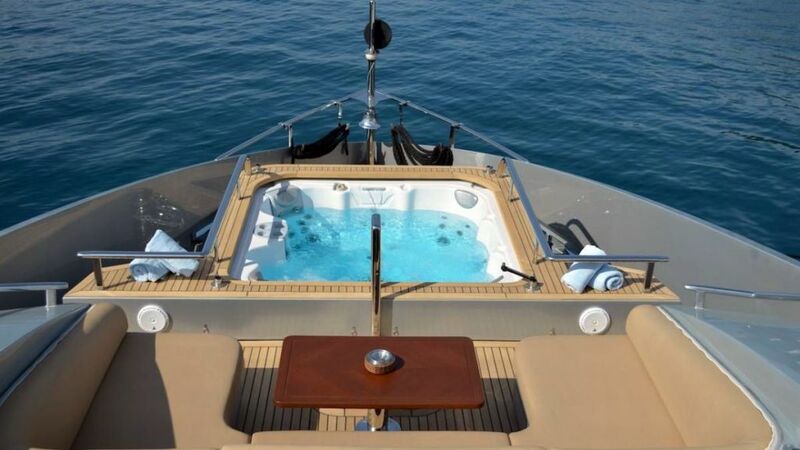 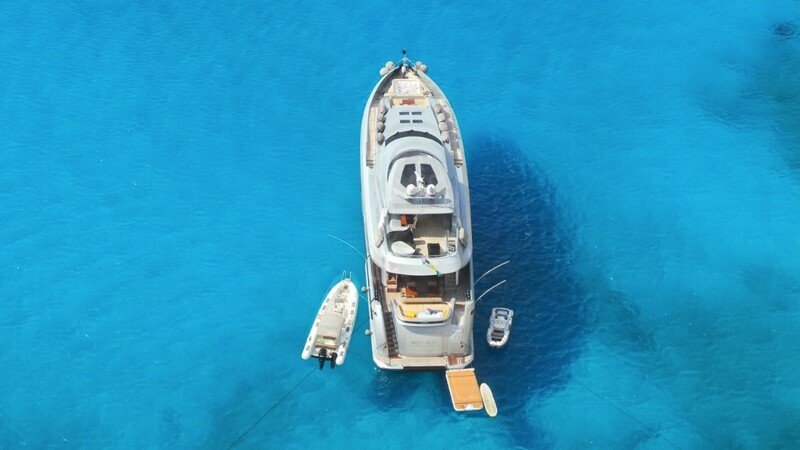 Amenities onboard superyacht MEYA MEYA include: 8.3m deep V tender / chase boat with a 300HP top speed of 45 knots which seats 8 guests very comfortably, a 4.5m jet boat tender, Seadoo jet ski 255HP three seater, Stand up paddle board, Two person kayak, Wakeboard, Child wakeboard, Wake skate, Dual / mono water ski, Child learner ski , Mixed inflatable tow-ables and inflatable float lounge, Fully integrated AV system (AMX) activate all the lighting, media, curtains that are controlled by both AMX pads and iPads from all areas of the yacht., Wi-Fi network, Hydraulic swim platform that lowers into the water, Hydraulic swim ladder , Deck Spa Pool with hot/cold water, Gym equipment, Numerous water-sport equipment, Large 8.5m towable tender, 2 wet bars, Electric sun awnings for the aft deck seat area.